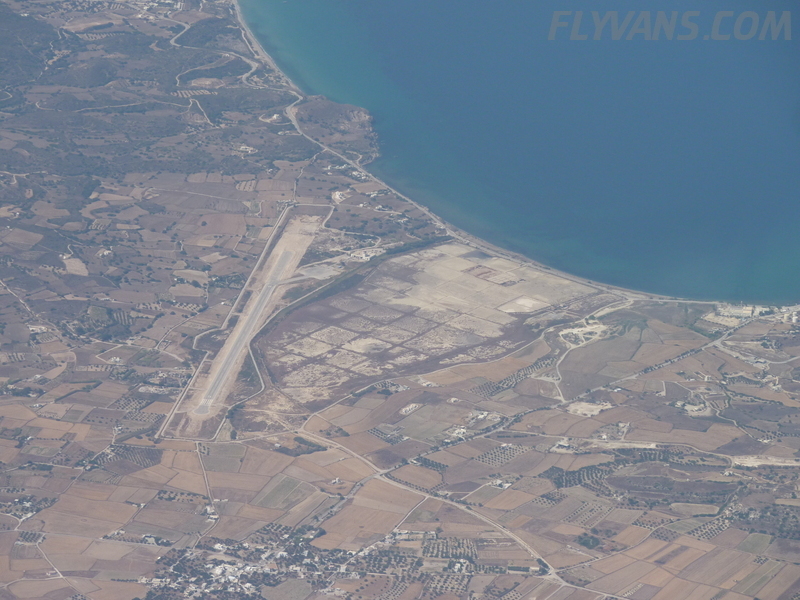 Megara was again a pleasure. 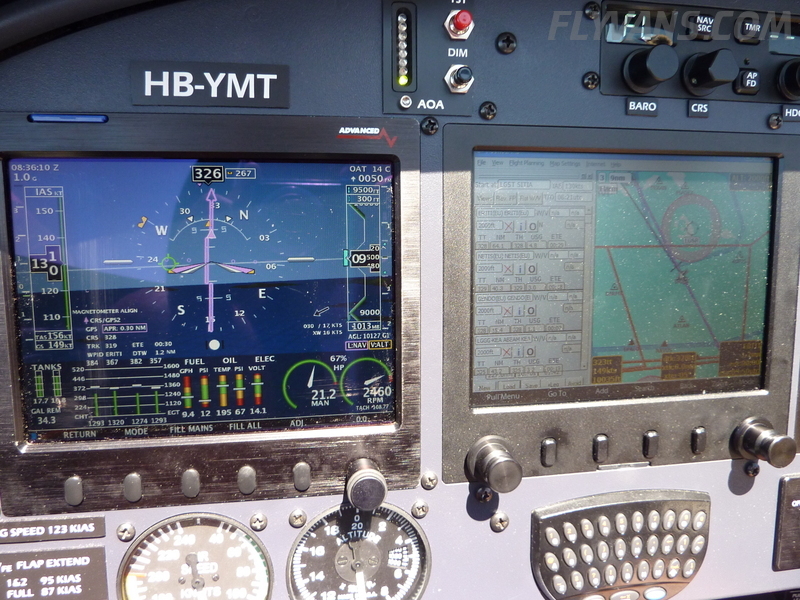 Quick turnaround, easy fueling, and efficient ATC. 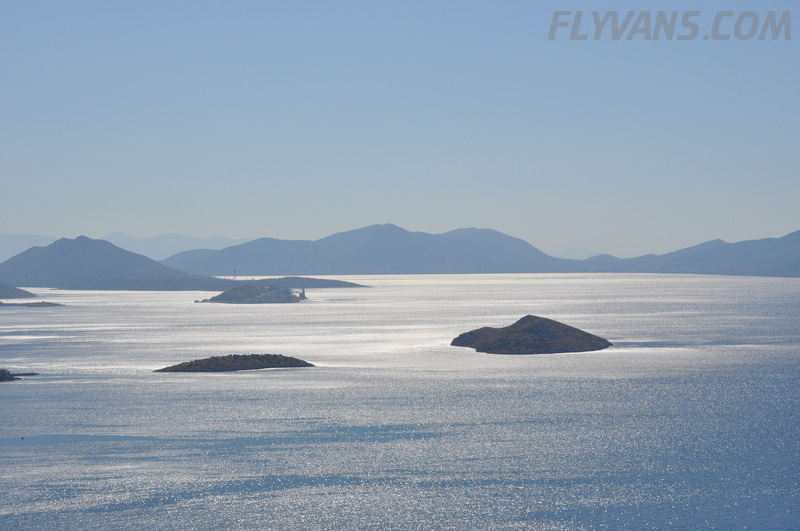 About the only thing missing was a cold coke machine ;-) Now, if it also could be used directly from Croatia, it would be perfect. 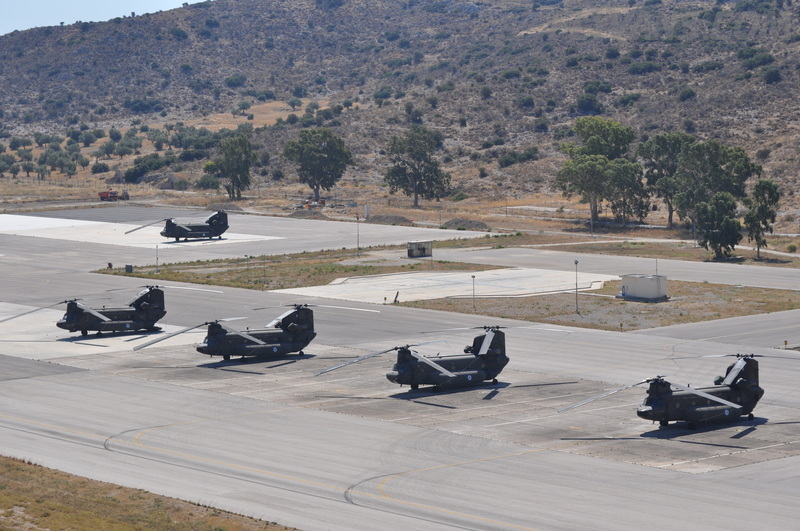 Kerkira was very busy at arrival. 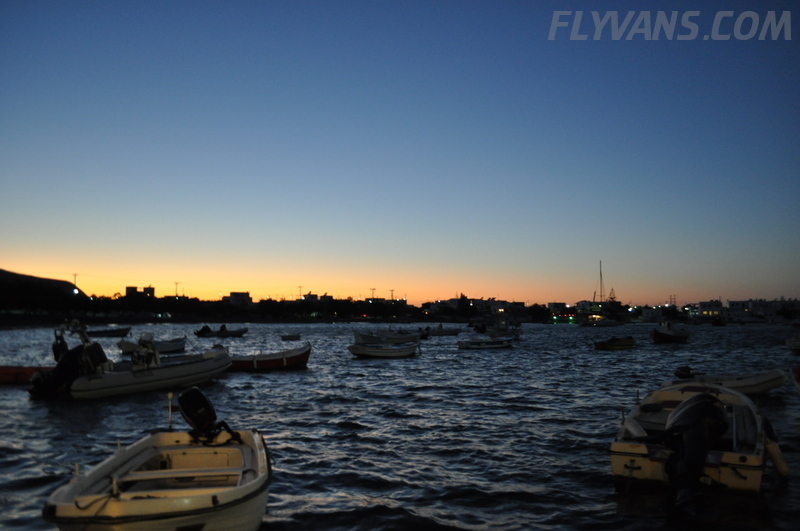 But we knew things from the first time and handling just got us out for the evening. 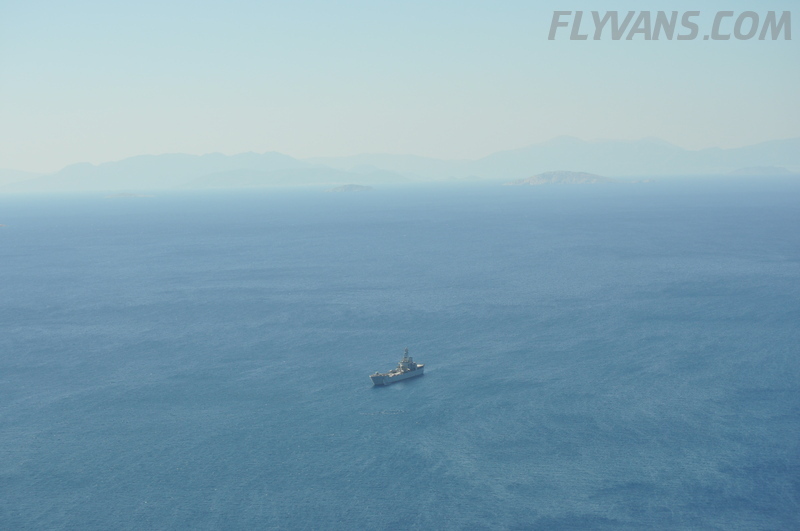 All the paperwork was done the next day before departure. 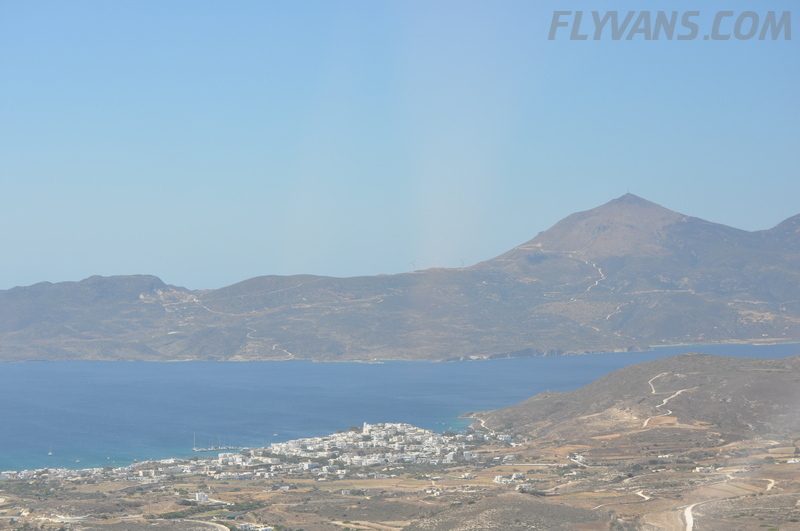 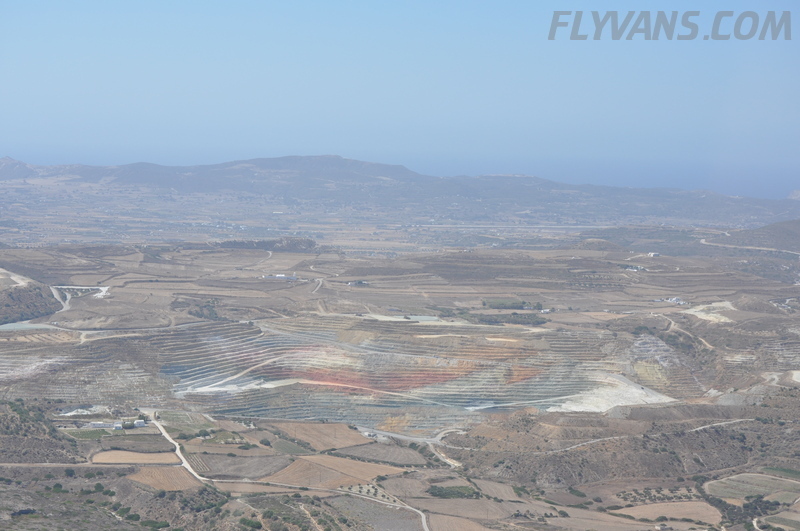 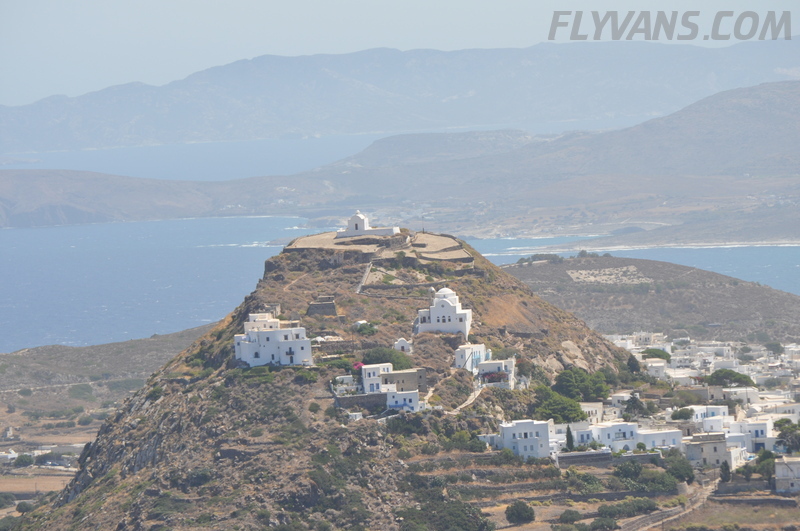 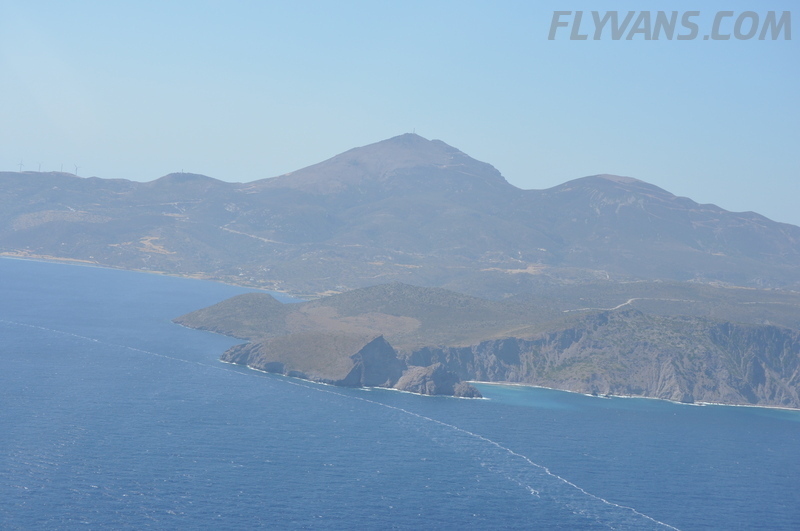 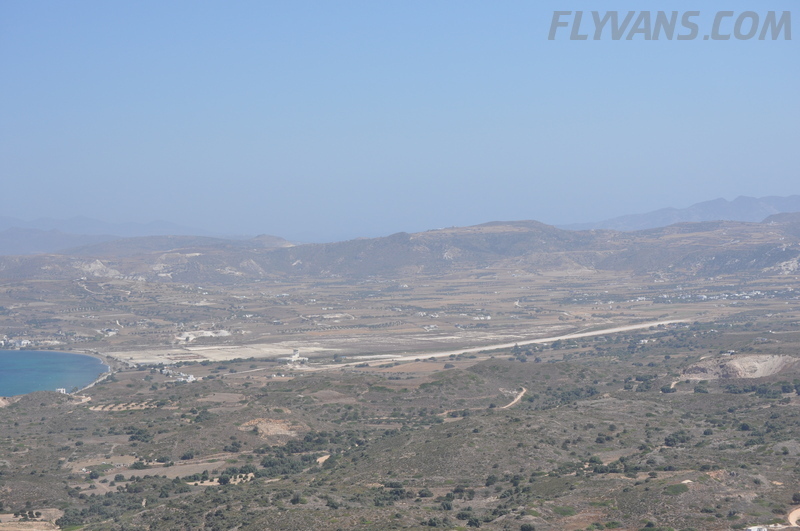 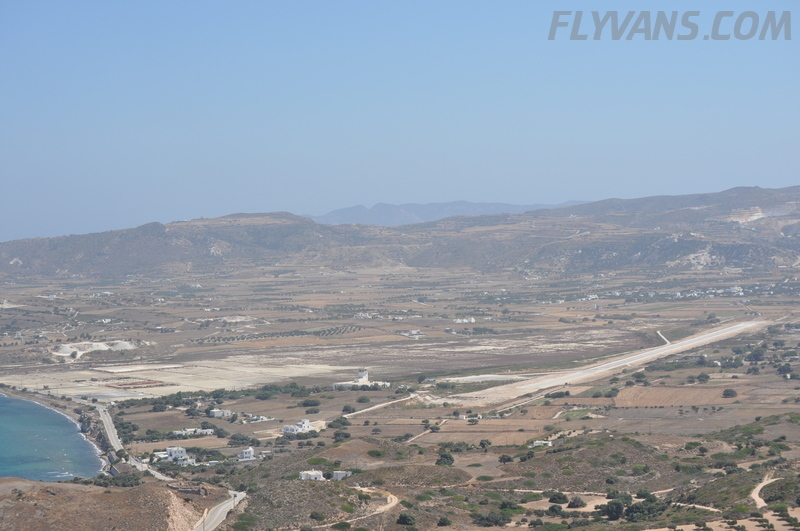 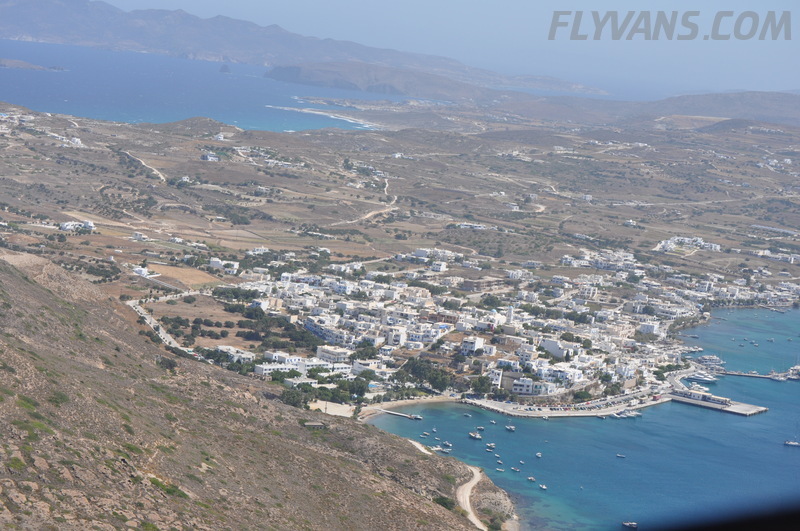 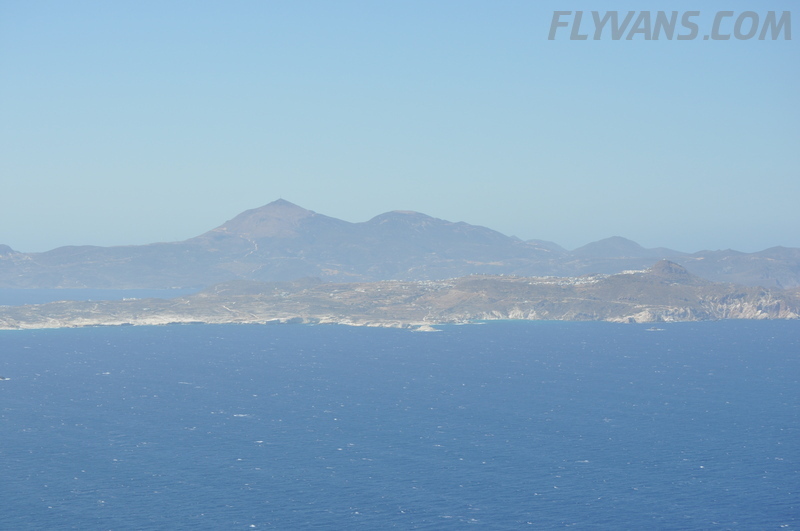 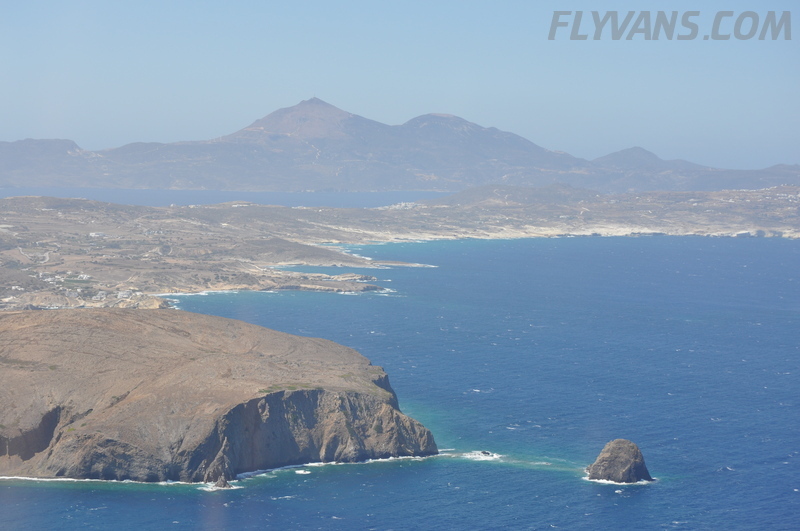 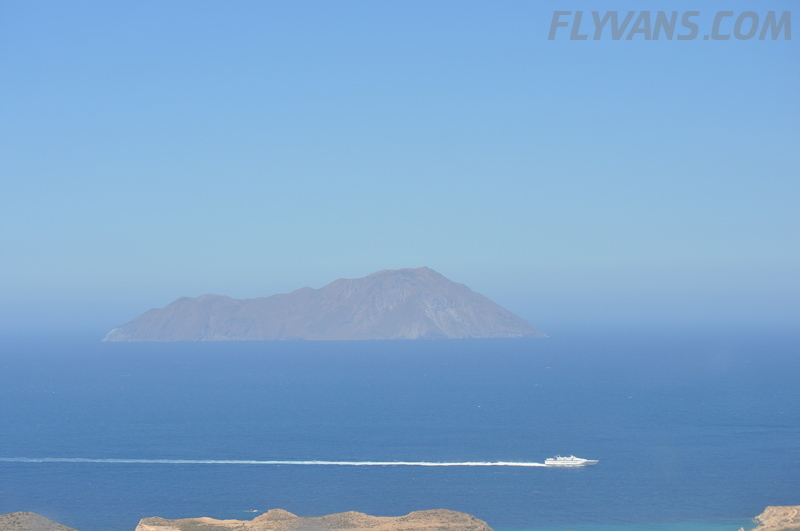 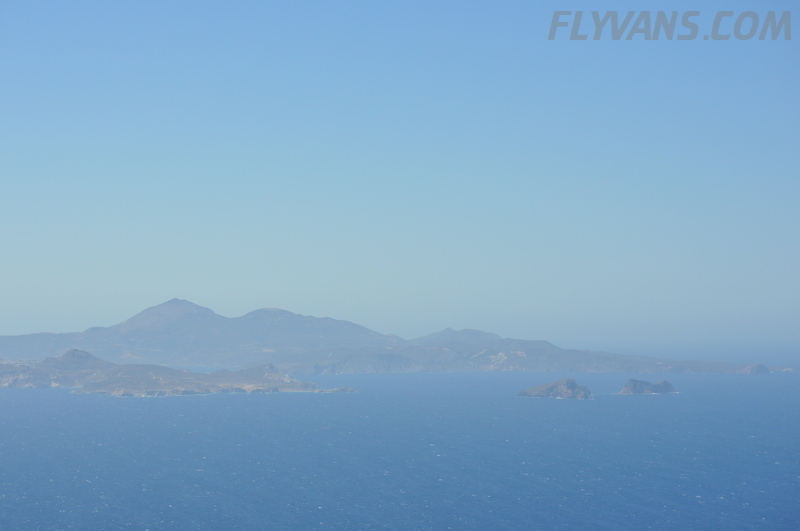 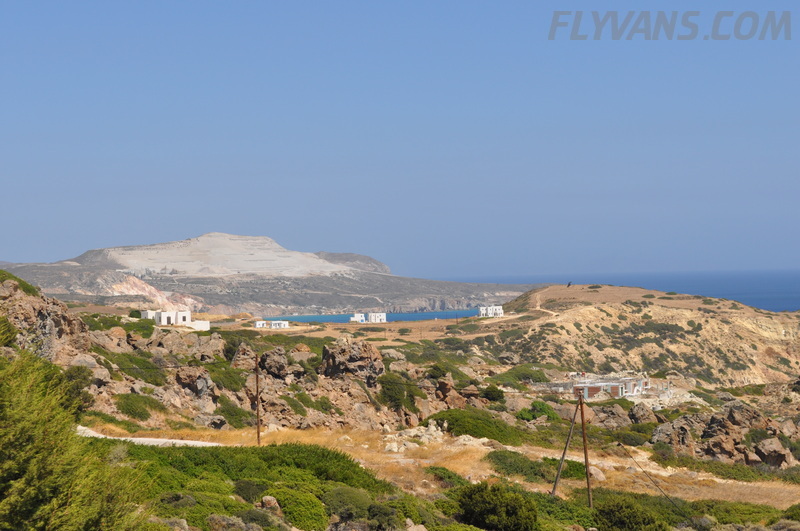 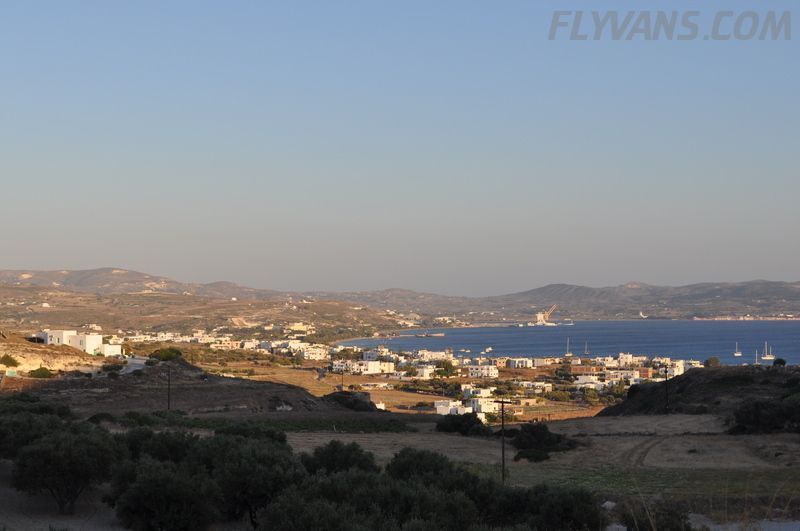 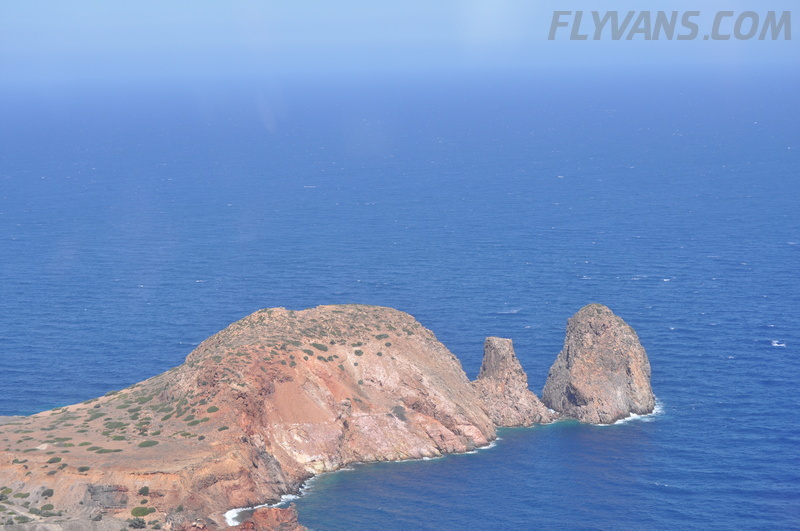 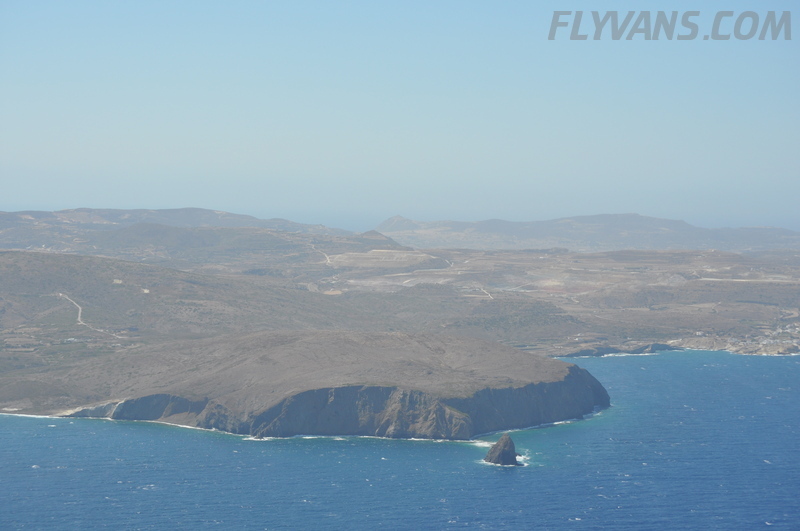 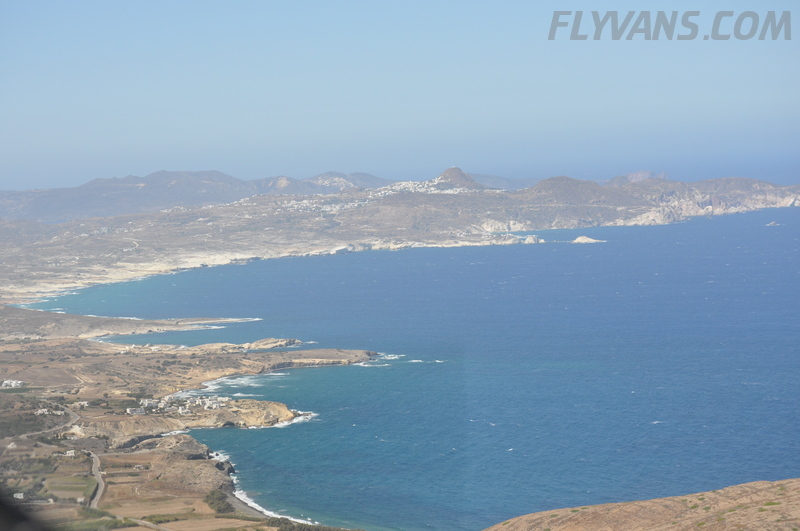 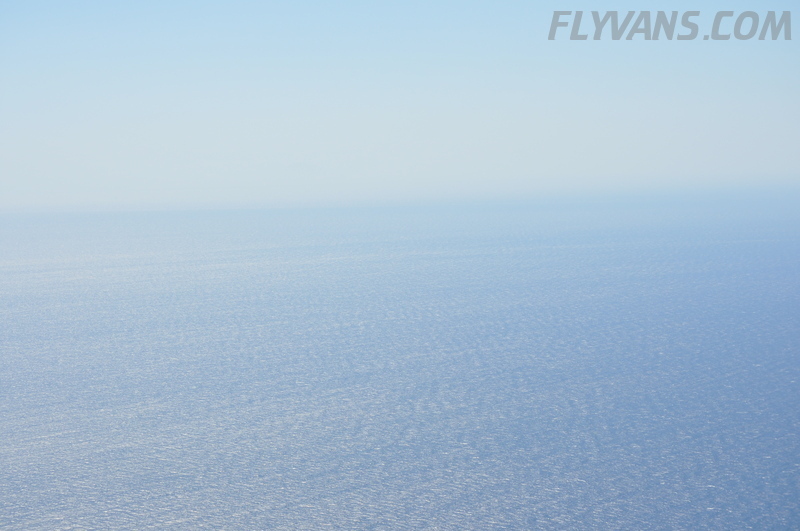 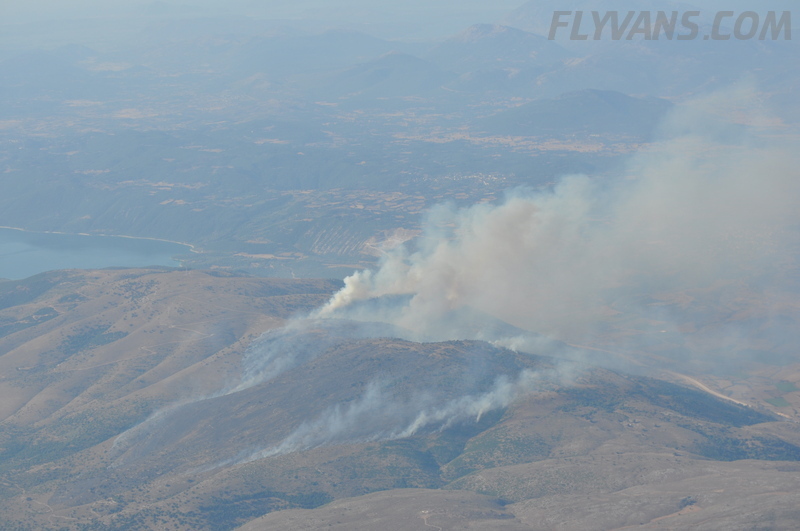 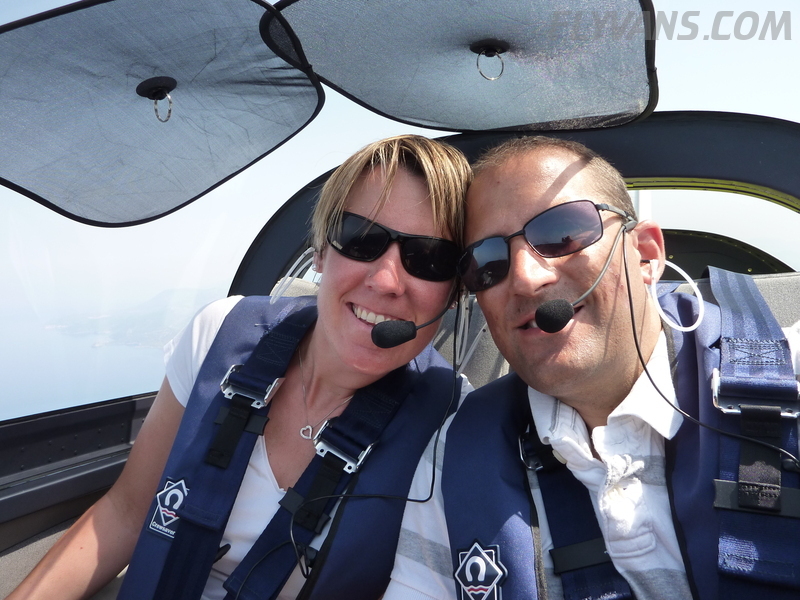 Takeoff in cross-windy Sitia was again quite the challenge, even more so than the landing. 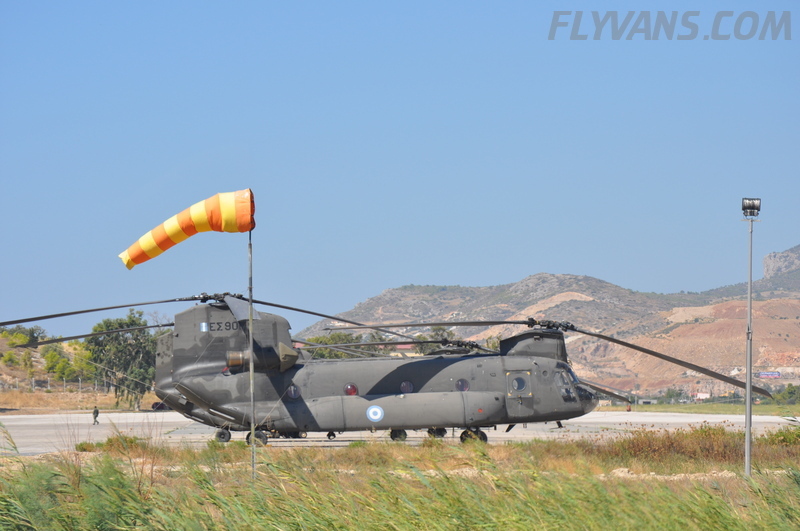 The ground handling and weathervaning of the tail being quite a hand / feet full. 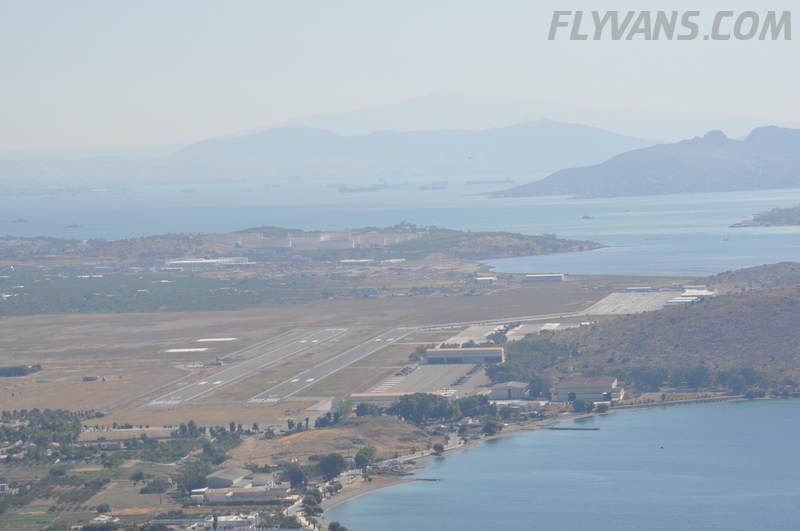 Glad the RV takes off so quickly and the RWY itself was plenty big as well. 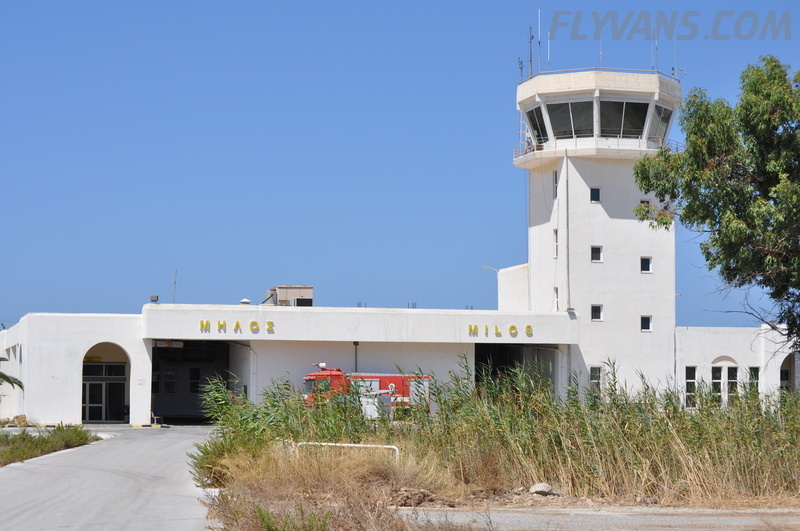 Sitia was also one of these AFIS fields that tried to play ATC. 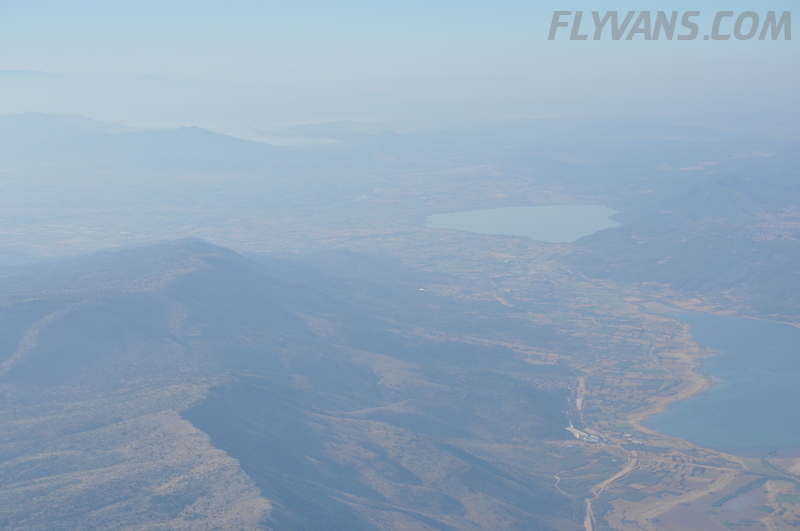 So he held us on ground for about 12minutes before he let us go, applying some kind of procedural IFR separation or whatever. 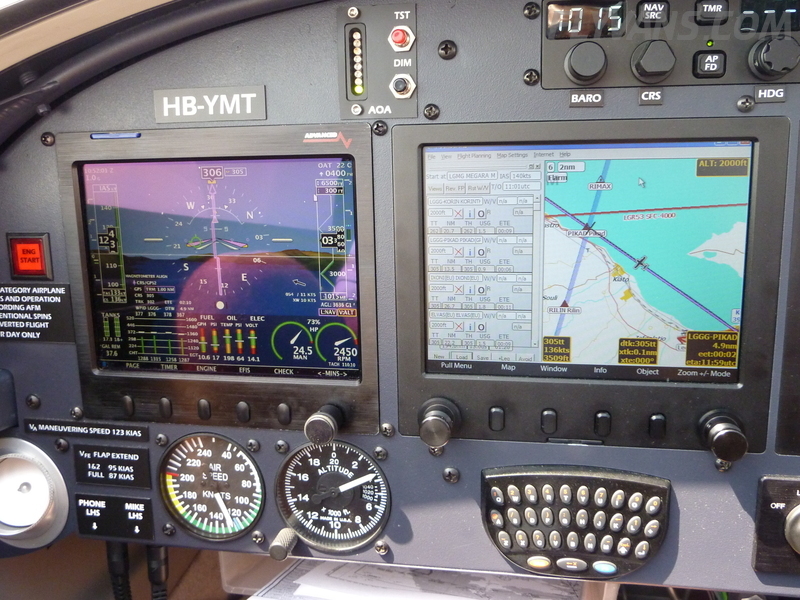 We could have been airborne in the first minute and since it was VFR/AFIS technically there should have been no restriction. 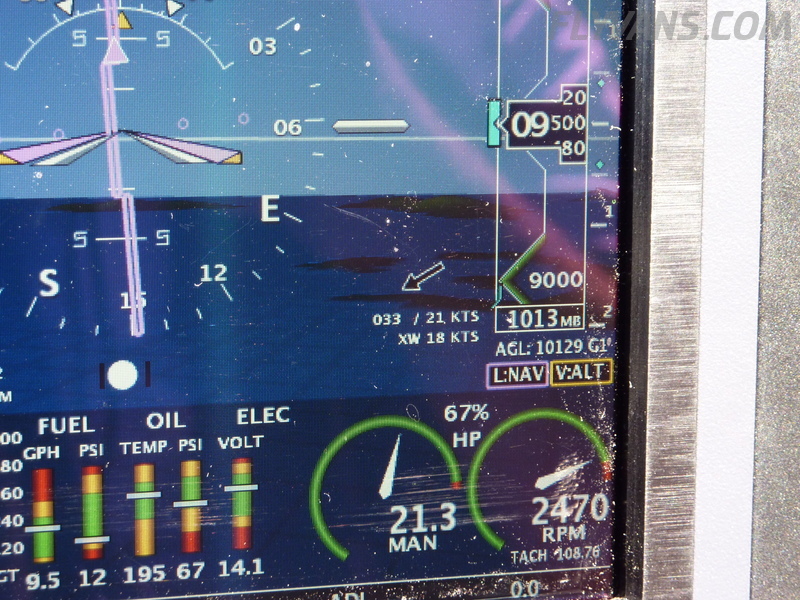 Fortunately the 30kt wind was helping keep temperatures down with the engine already running. 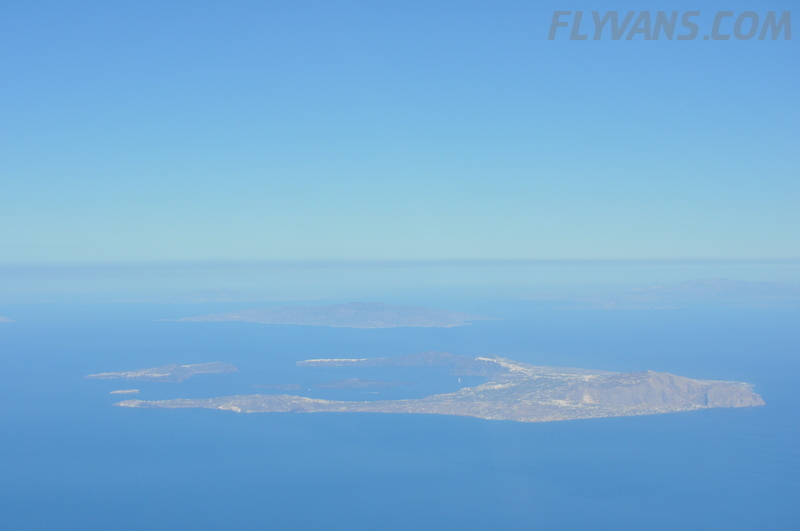 The flight itself was smooth, got a great clearance from Heraklion to climb to FL85 and we flew back economically and with less headwind over Santorini/Milos heading to Megara. 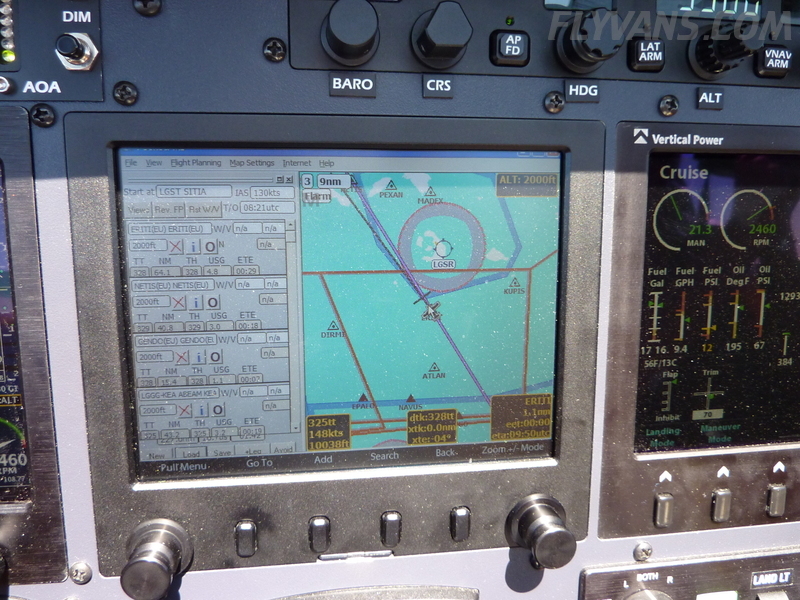 The next downfall literally was another procedural (and probably non-ATC) FIC operator, which apparently couldn’t think 2 minutes ahead… Anyway, she ended up requiring us to descend from FL85 to 2500ft in about 15NM! 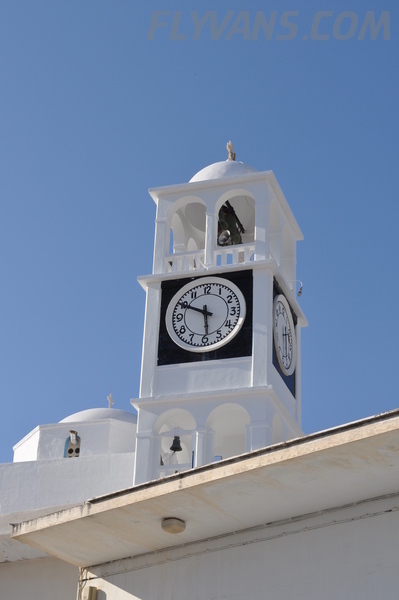 Very uncomfortable experience with ears popping and a large temperature change. 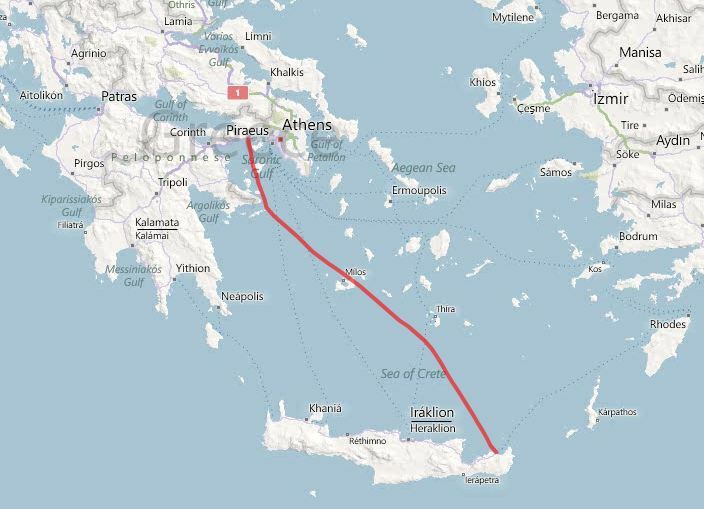 Based on the way she acted previously, i was already expecting a smooth letdown through the Athens TMA. 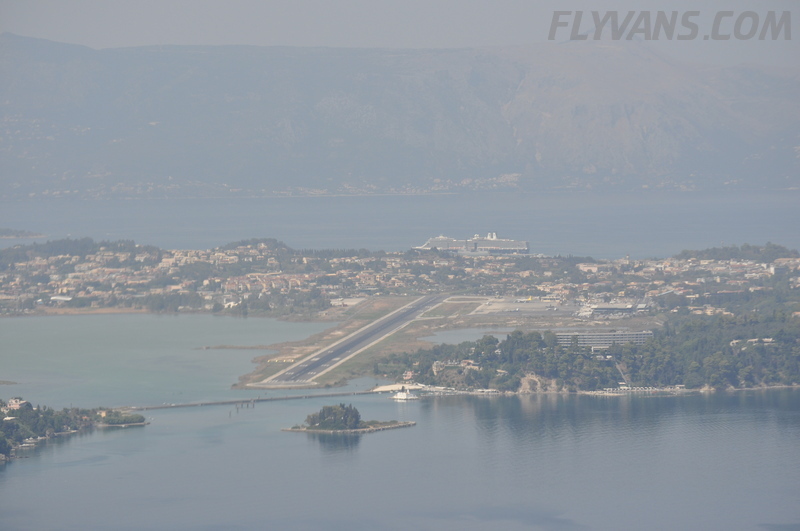 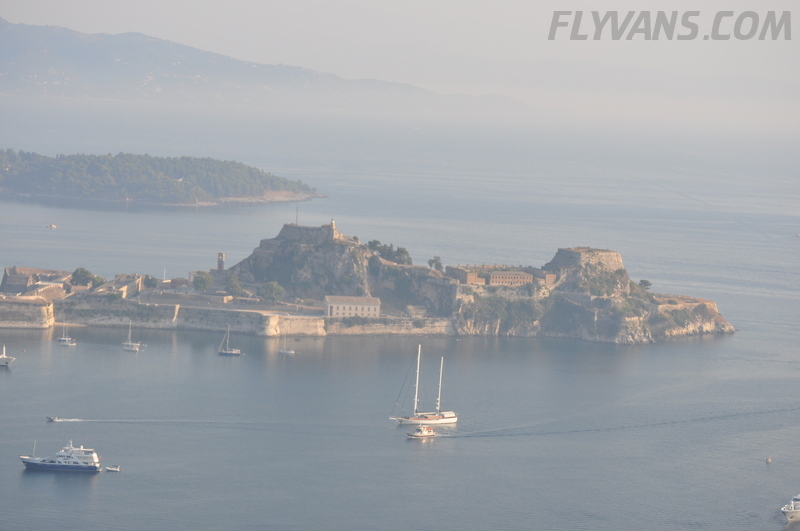 The approach into Megara was easy, with only about 7kts westerly winds. 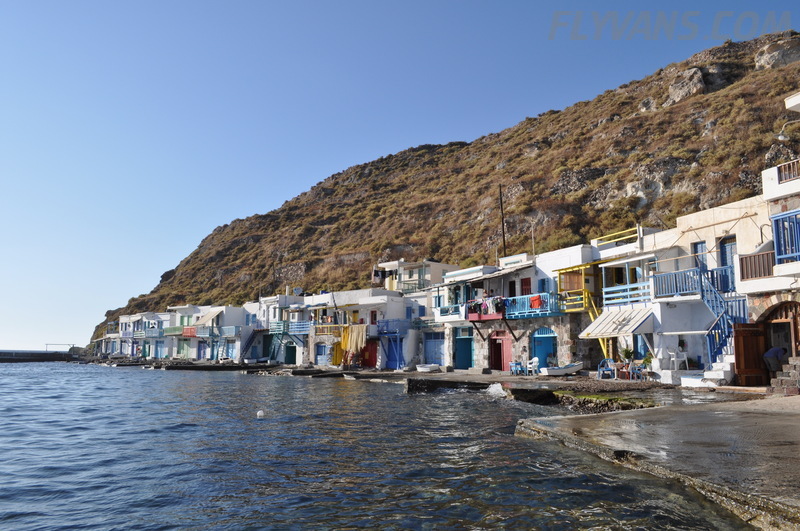 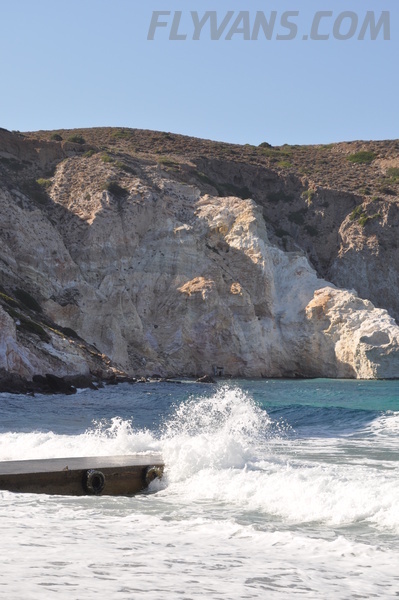 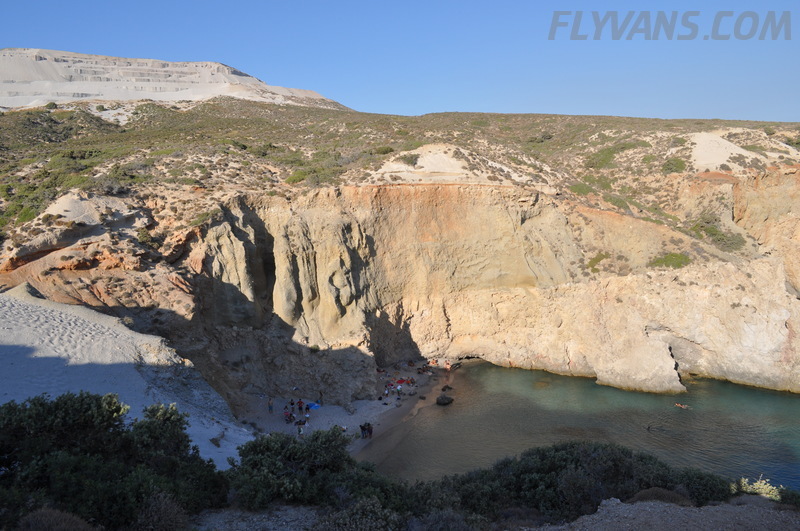 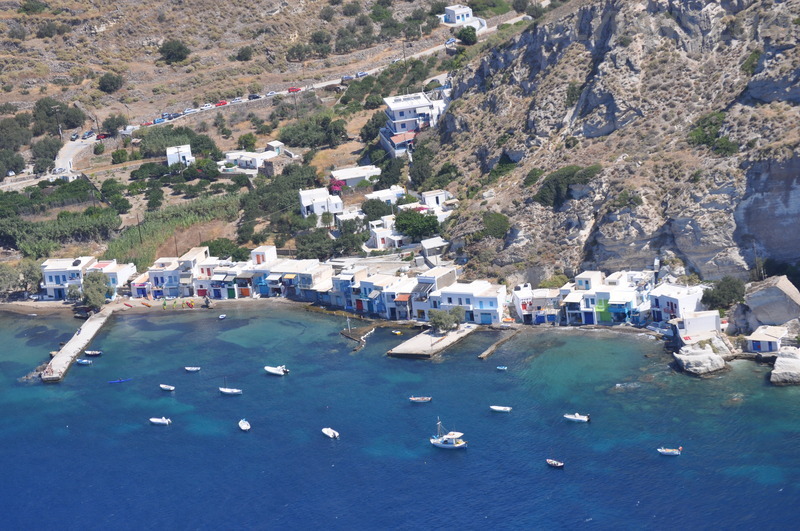 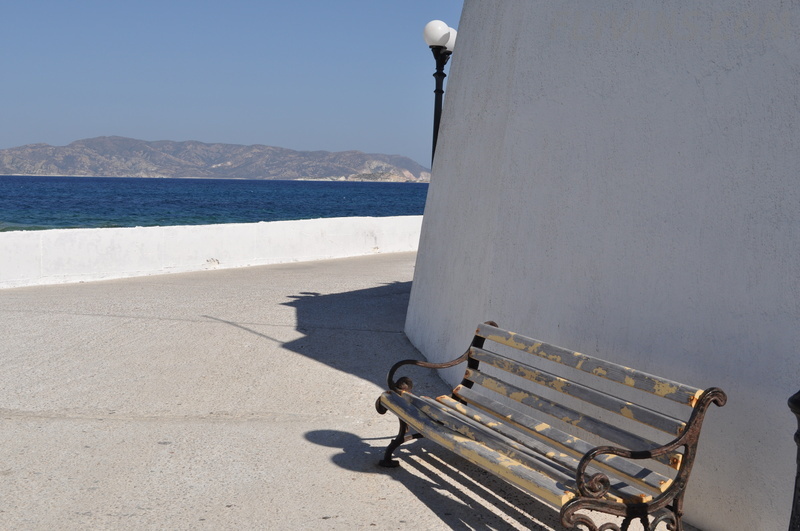 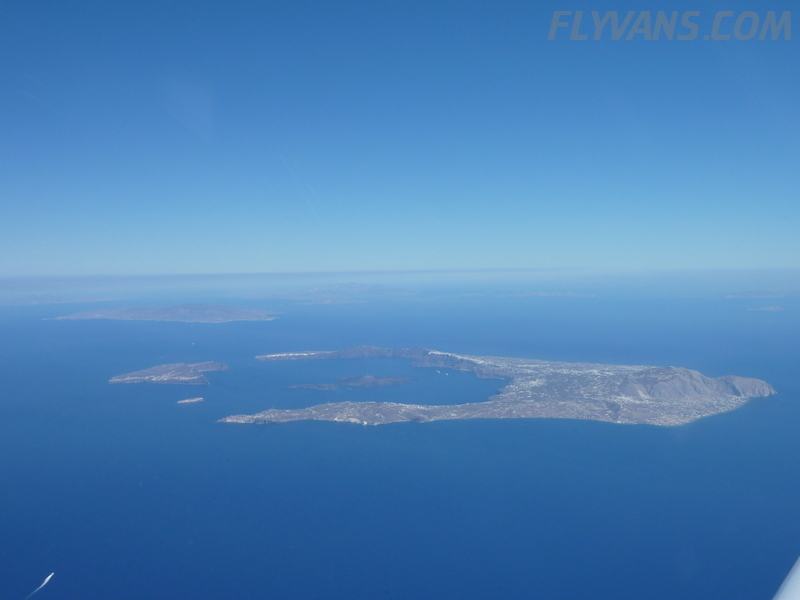 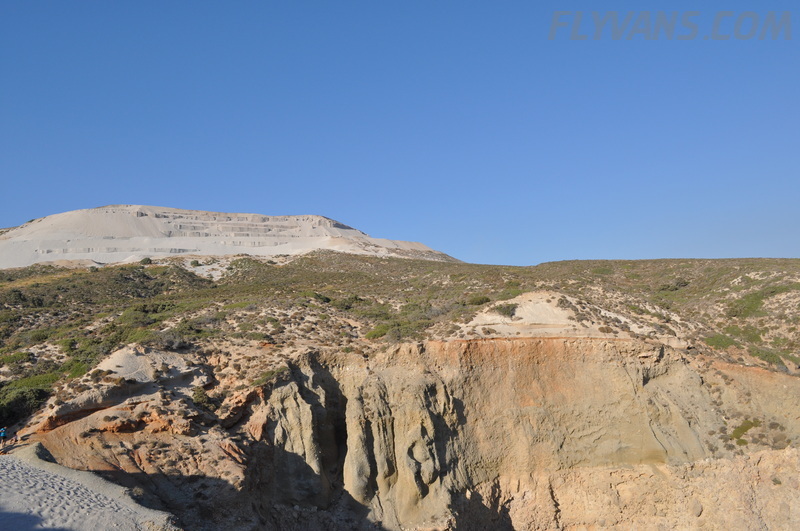 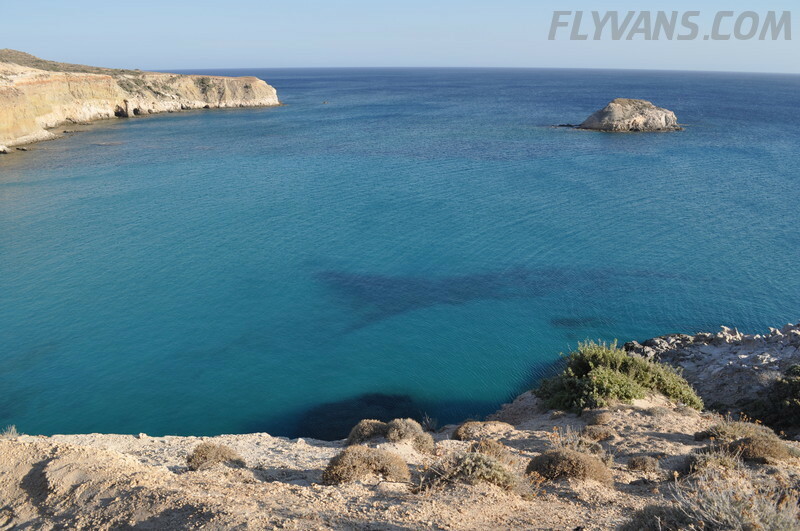 Milos is a small volcanic island in the Western Aegean sea, slightly west of well-known Santorini (Thira). 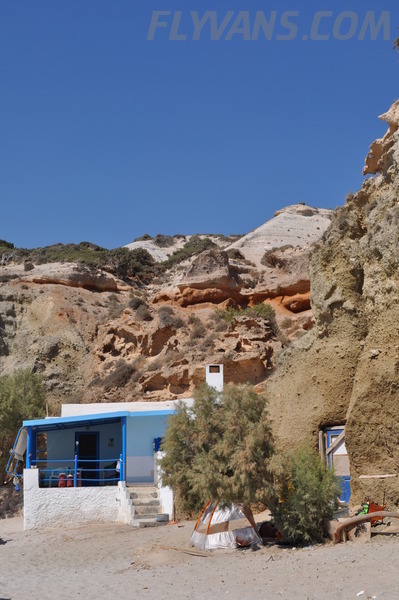 The island is interesting for its many beaches, very moderate touristic development (majority of inhabitants still work in mining/natural resources) and laid back atmosphere. 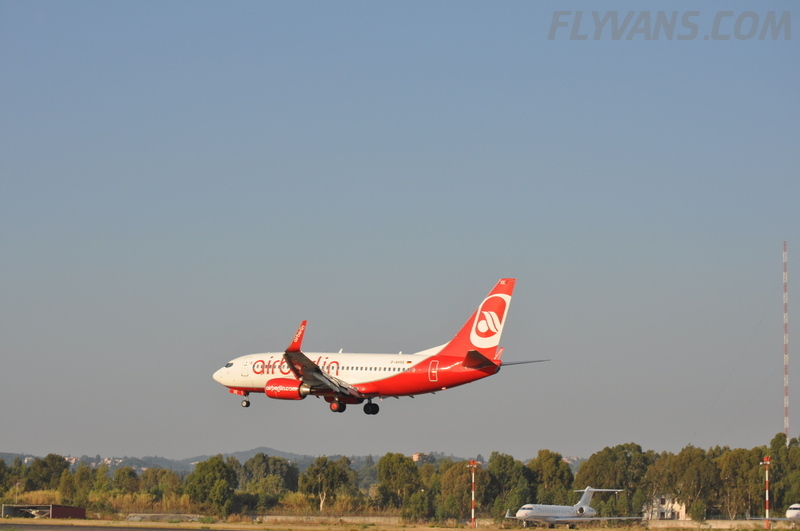 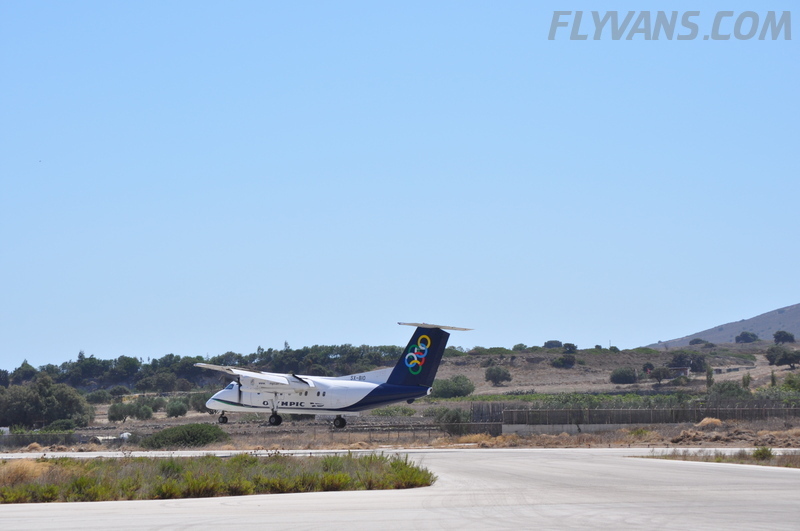 Due to a runway extension project, the airport is currently open for just 2hrs a day, to accomodate the single Olympic Dash 8-100 flight to/from Athens. 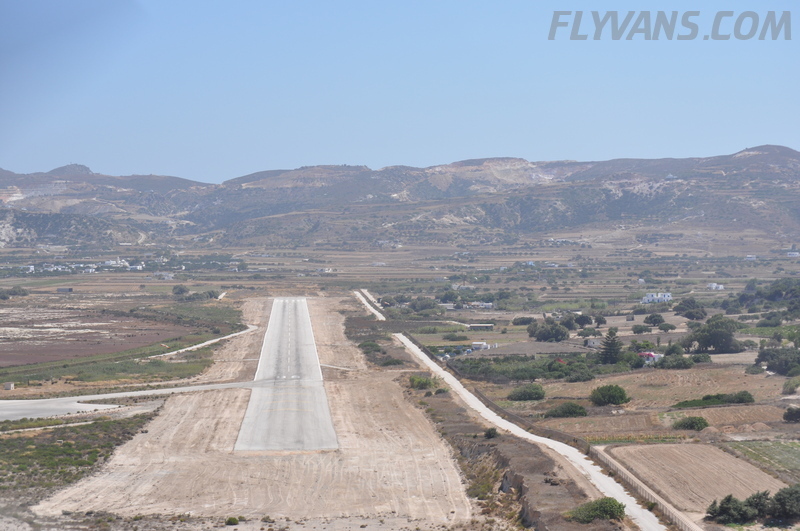 Again, runway 08, shortish and this time with a x-wind component of 23kts gusting 28kt. 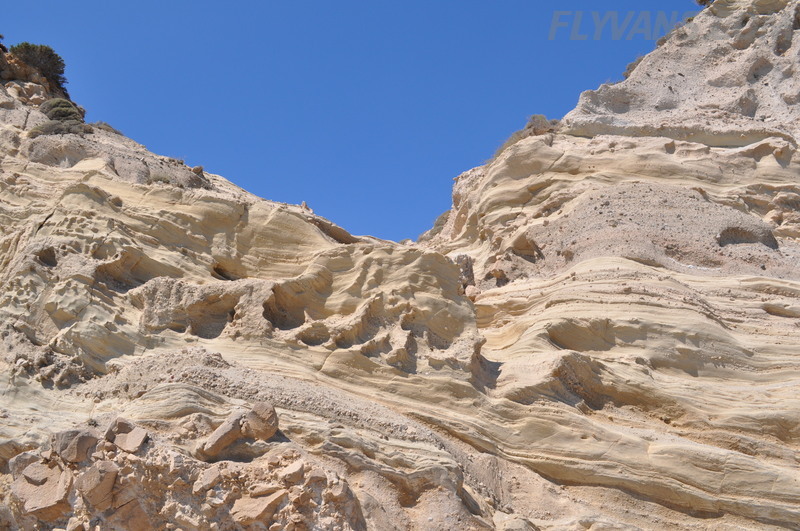 Definitely the harshest winds that our RV has experienced so far. 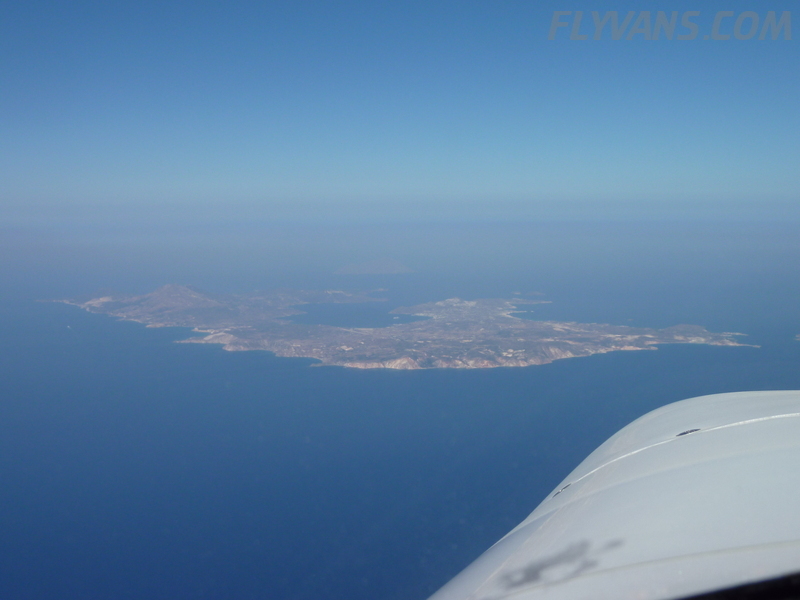 Smooth landing with the wing-low technique working splendidly. 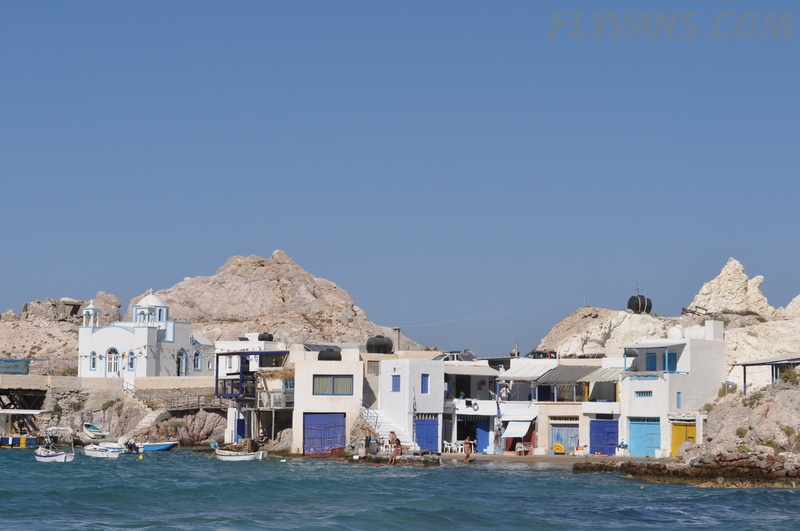 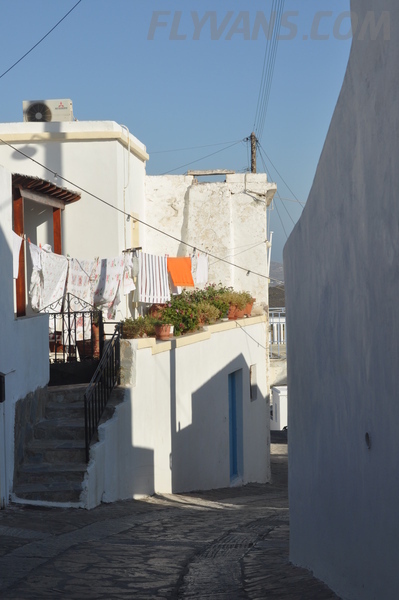 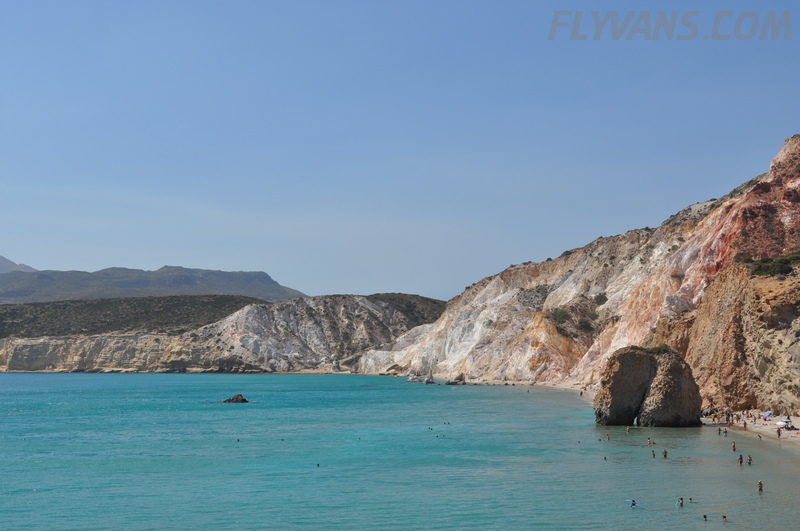 Final destination for the day was Milos Island. 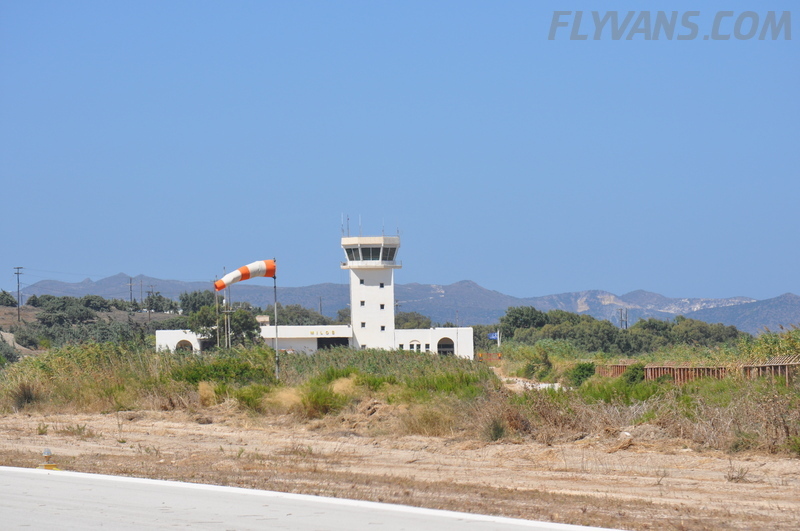 But due to the fact, that there is only a very short list of airports that carry anything else than Jet Fuel in Greece, we had to make another tech stop. 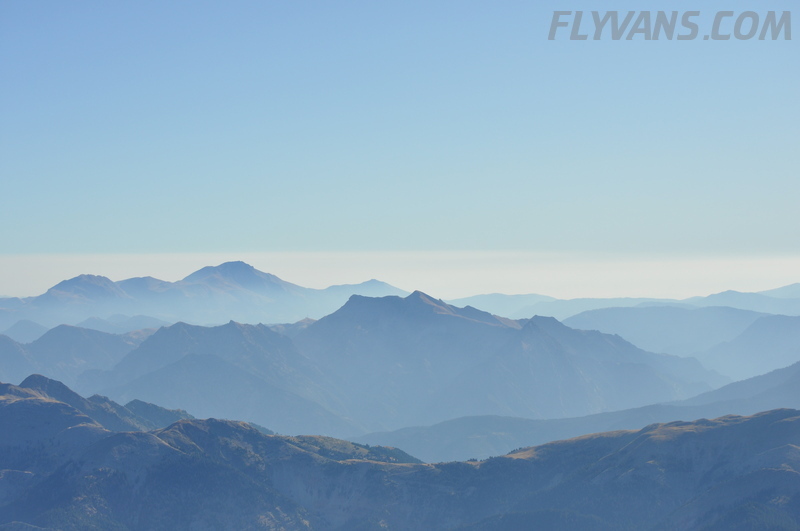 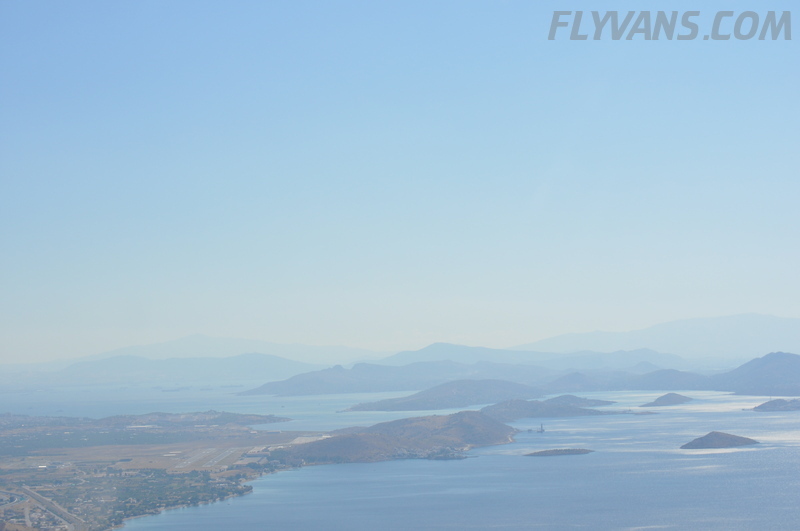 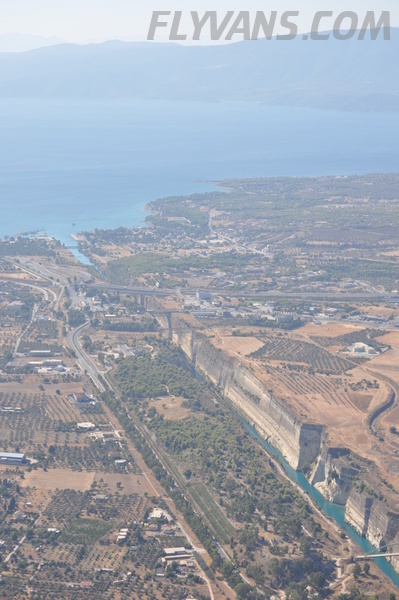 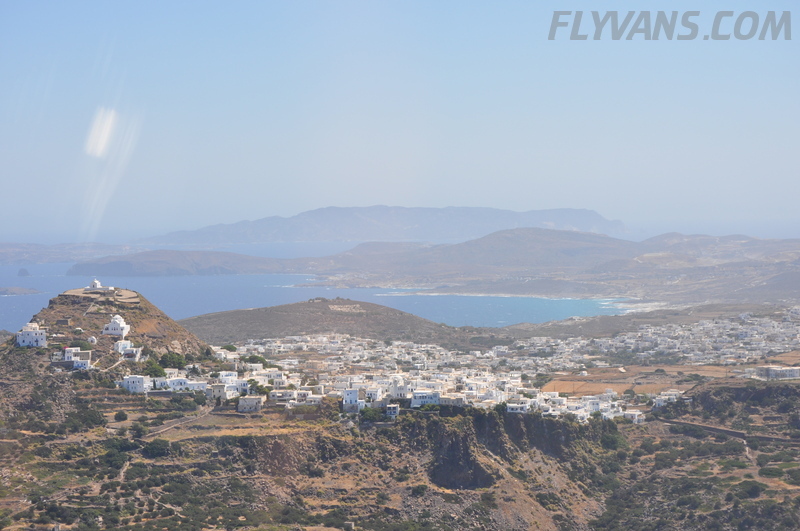 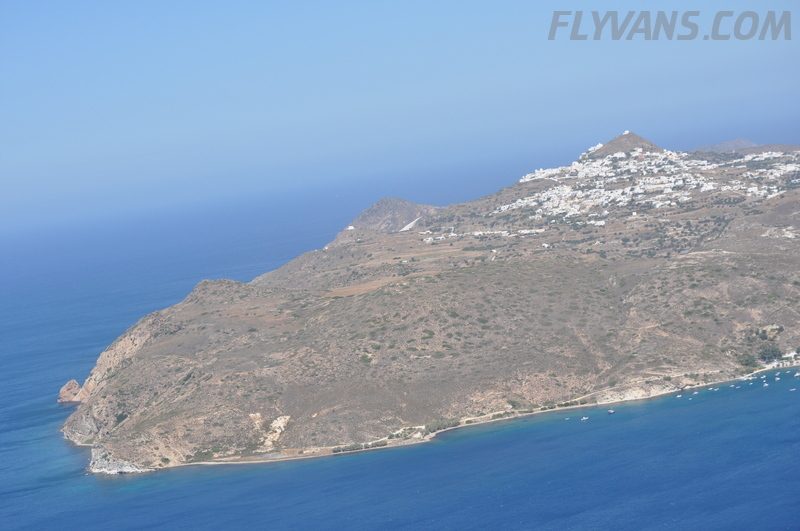 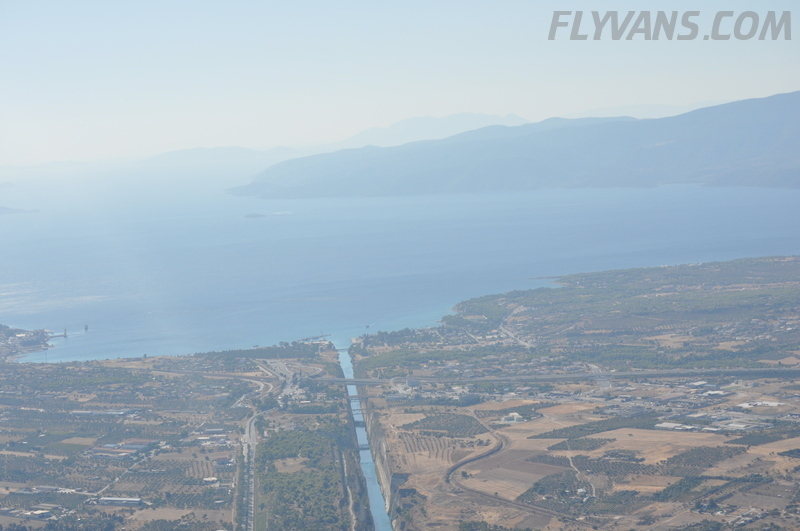 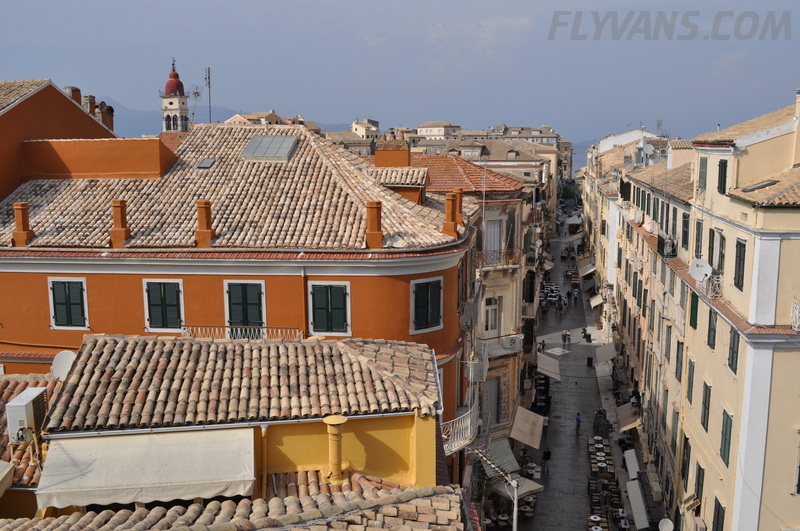 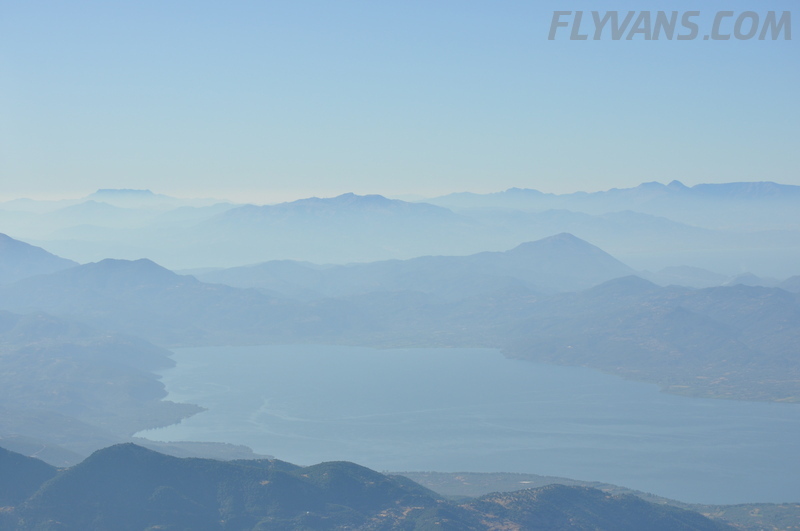 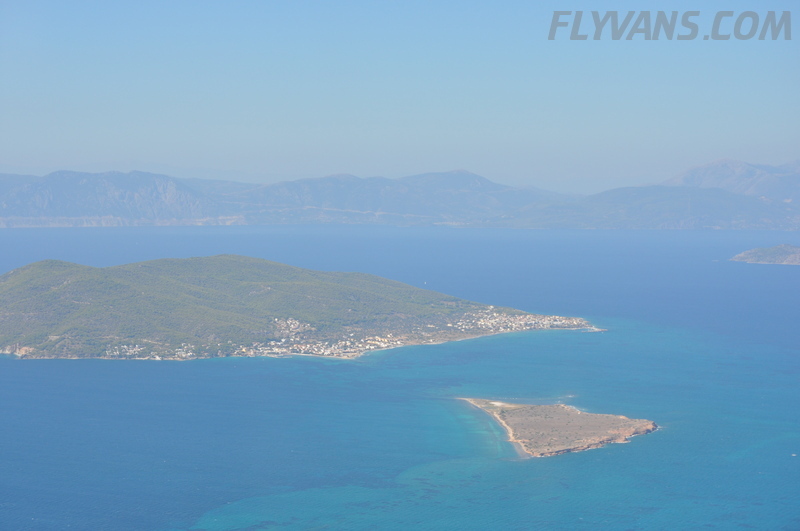 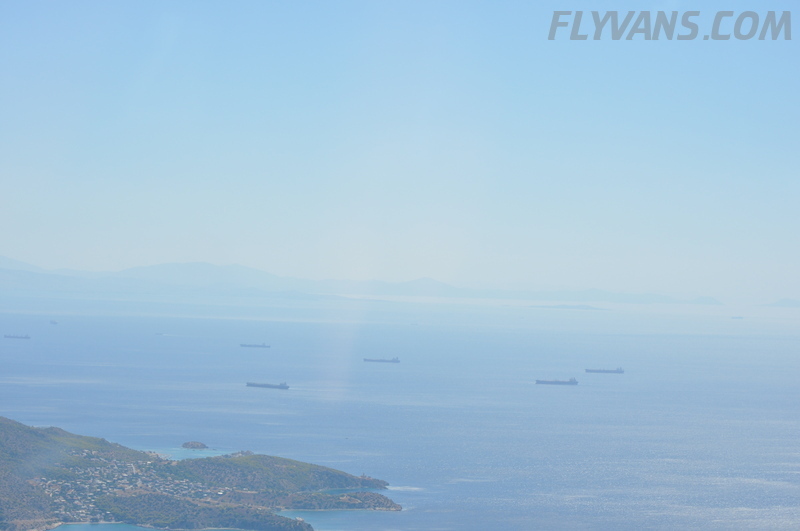 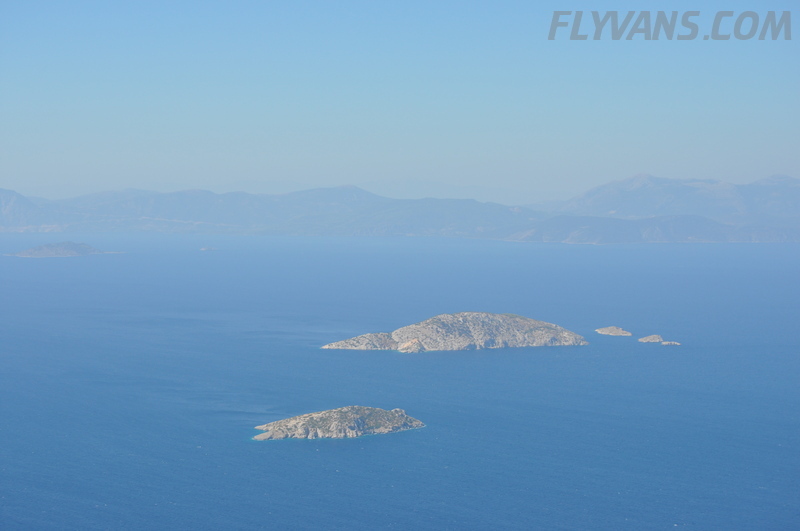 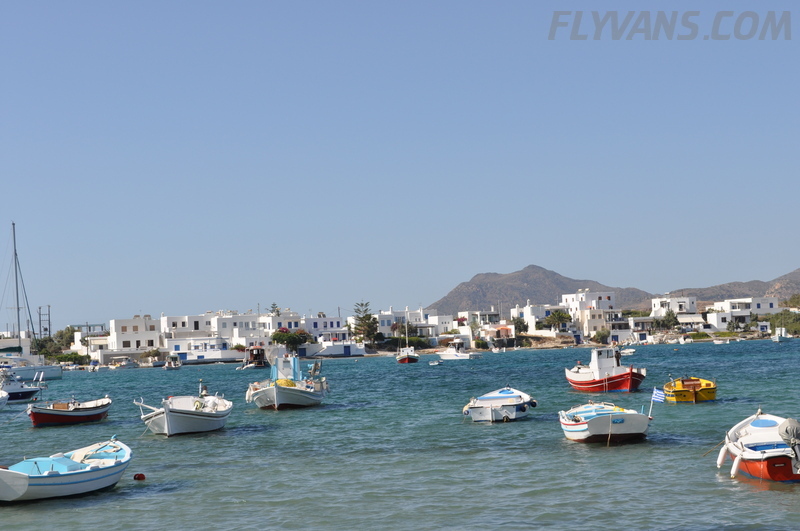 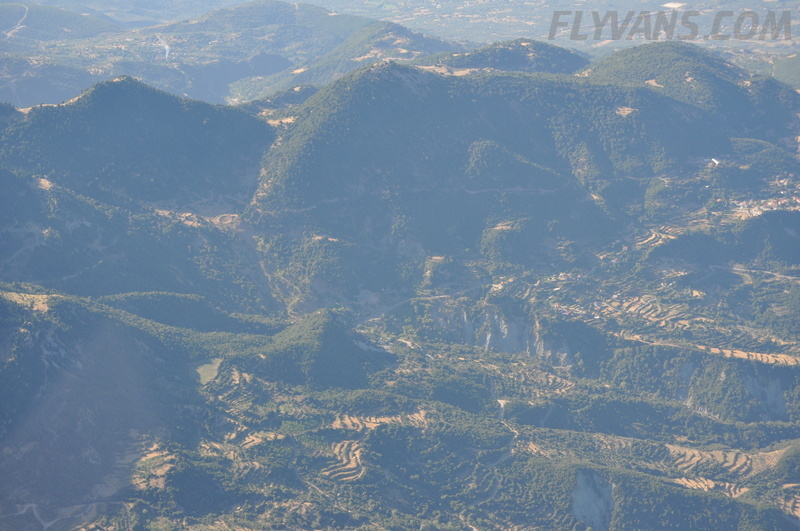 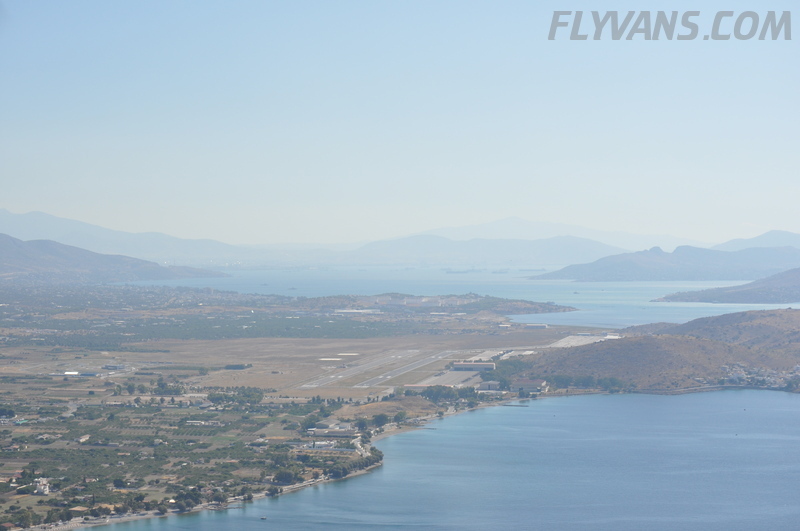 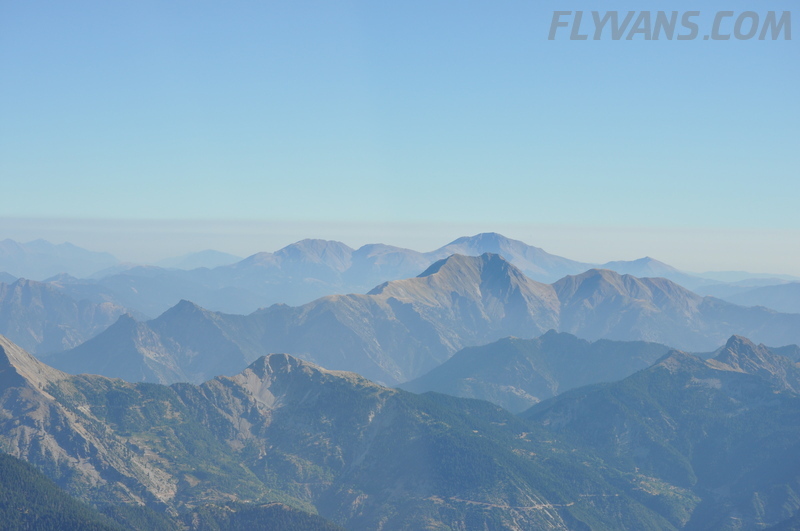 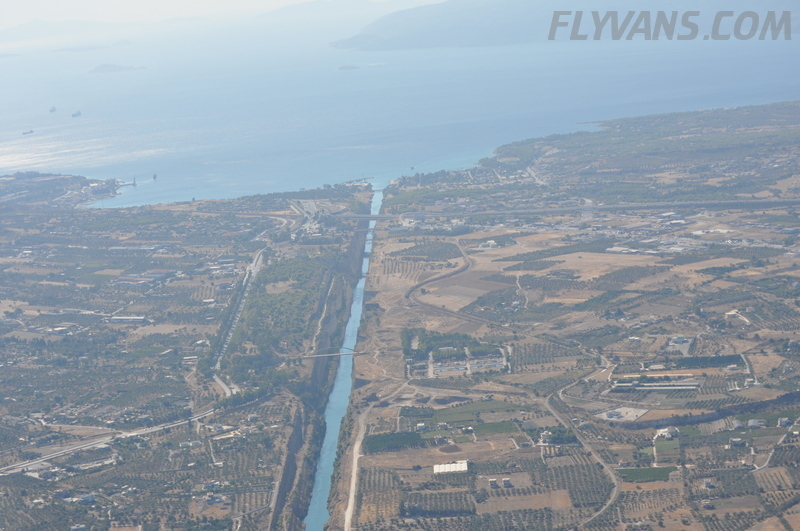 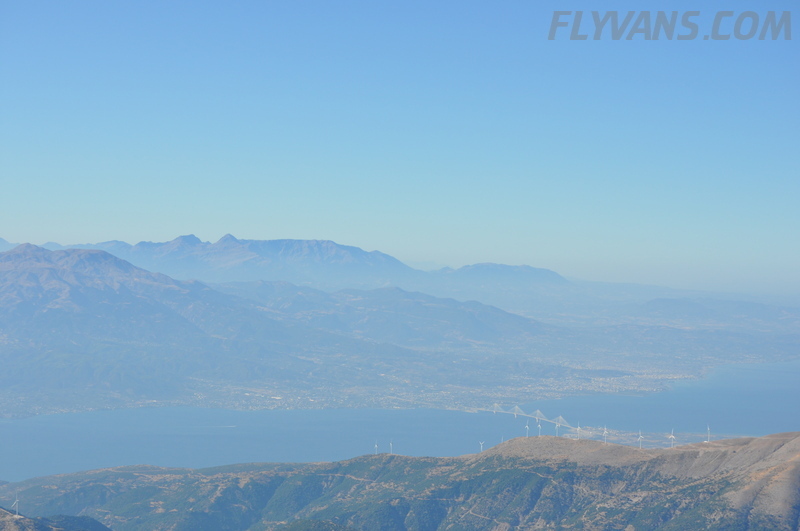 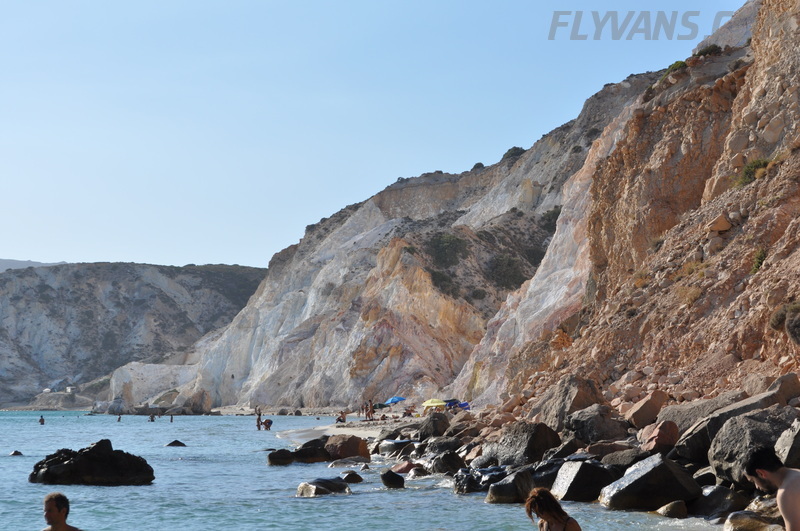 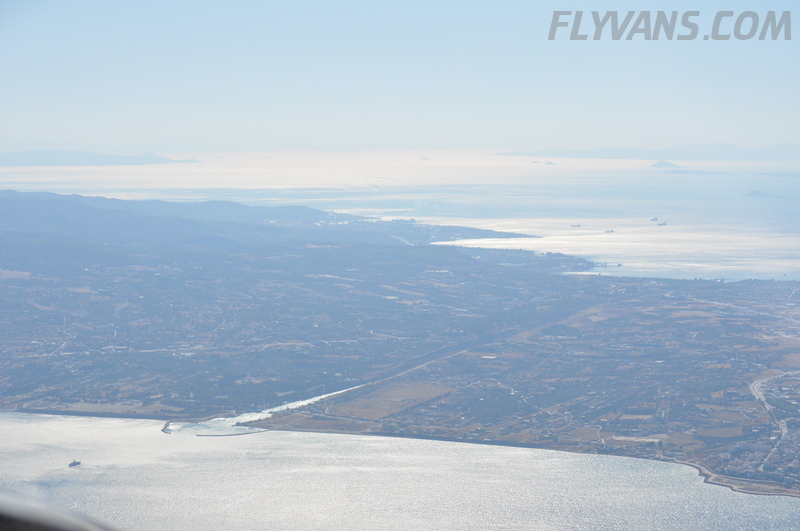 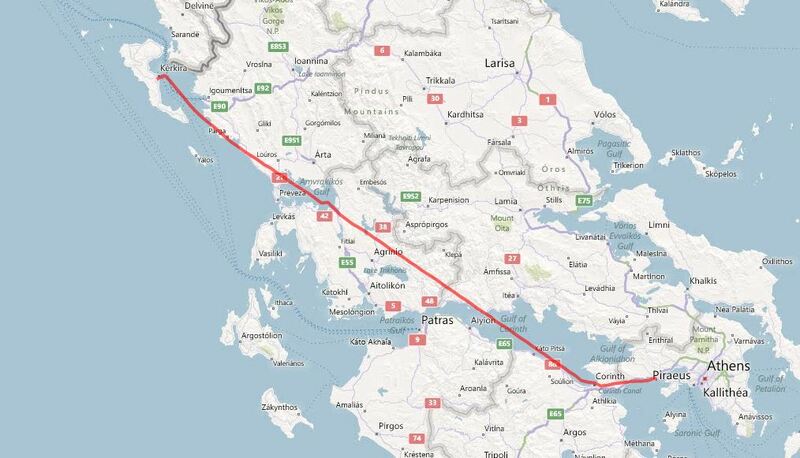 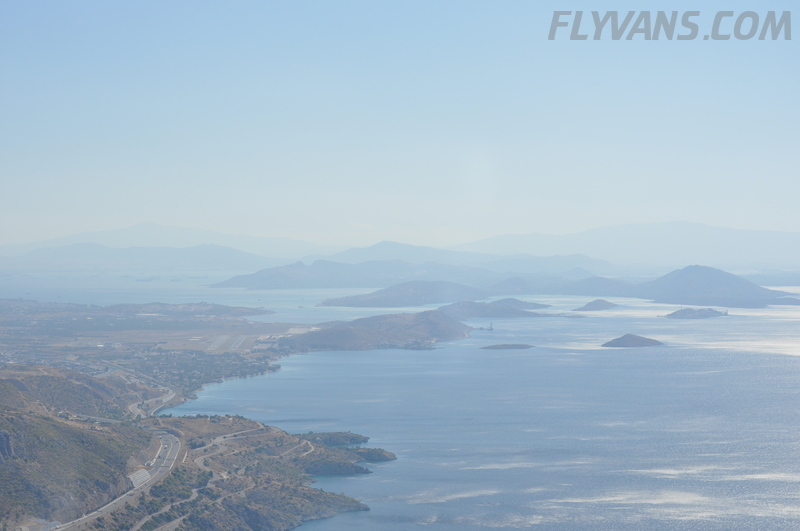 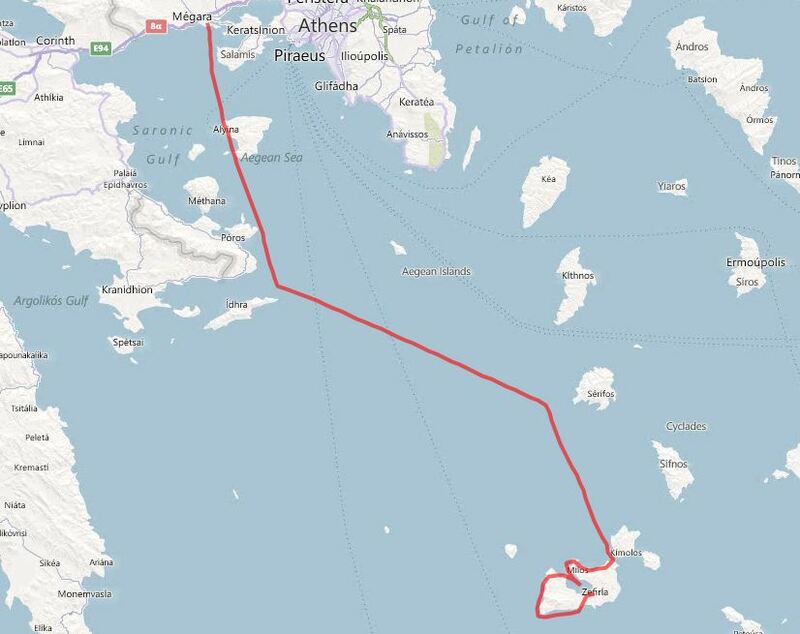 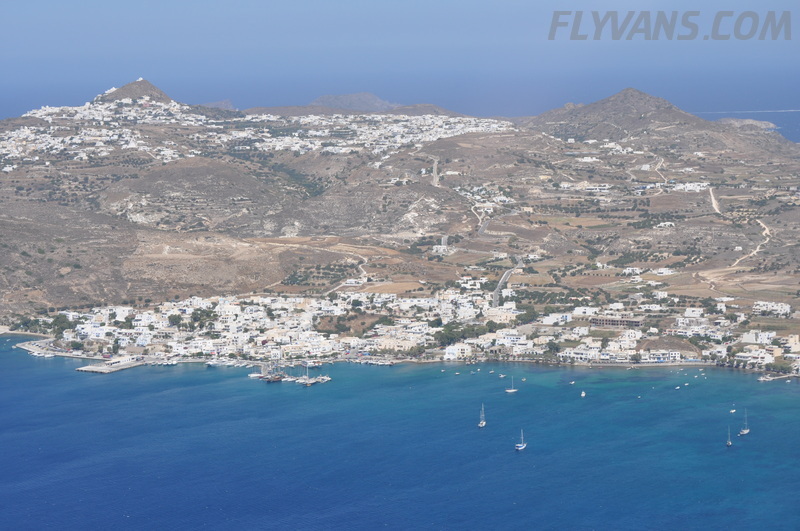 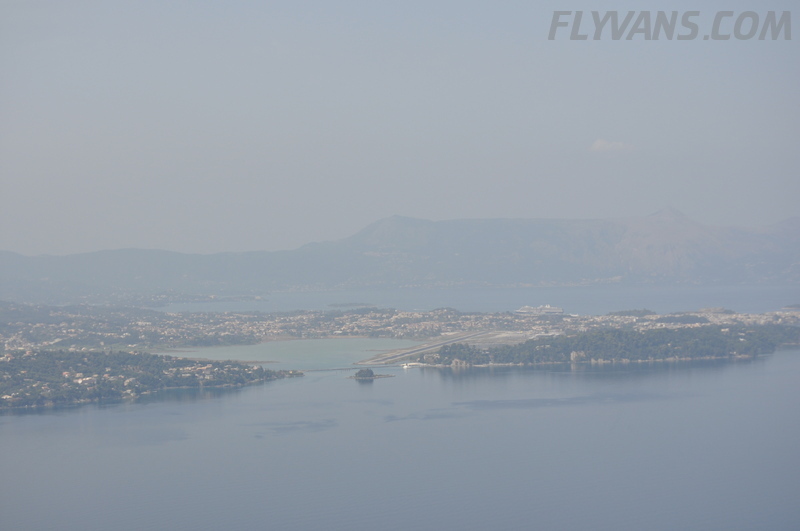 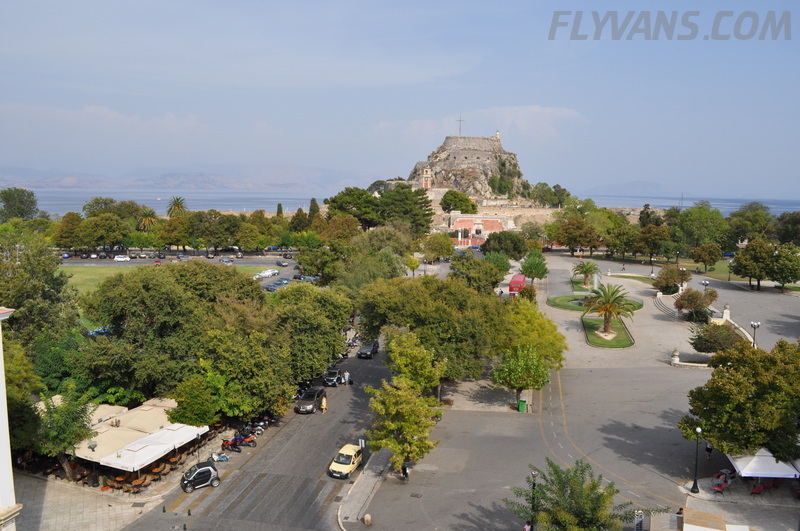 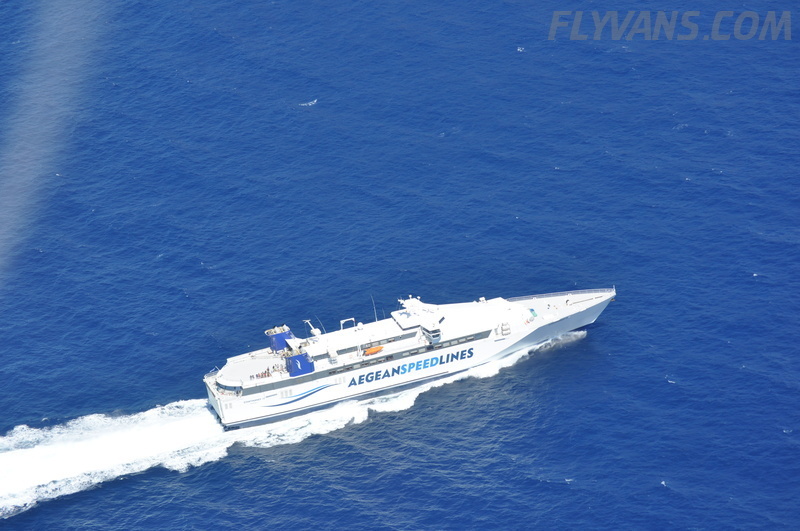 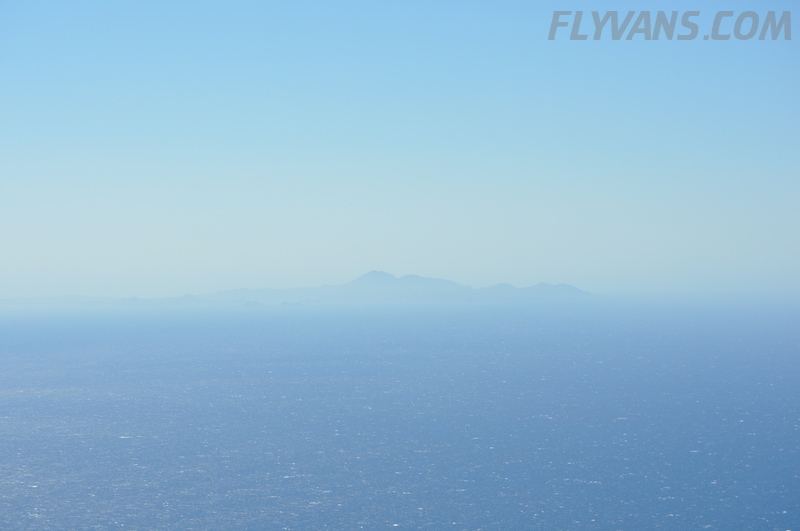 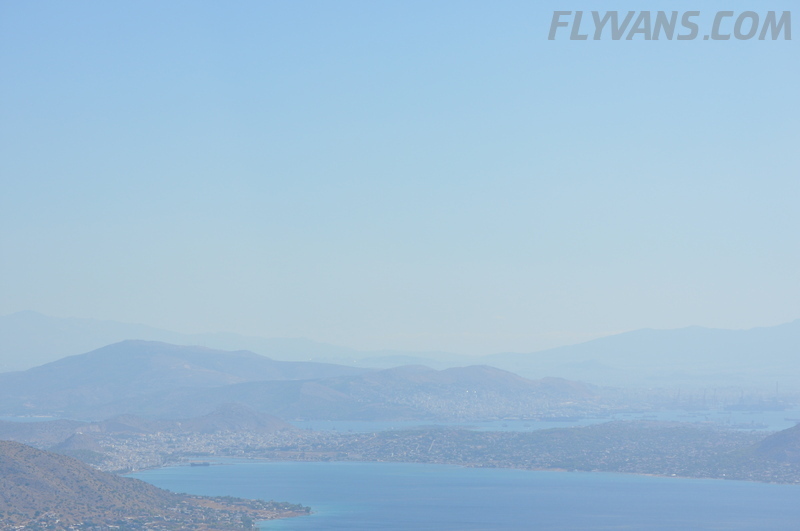 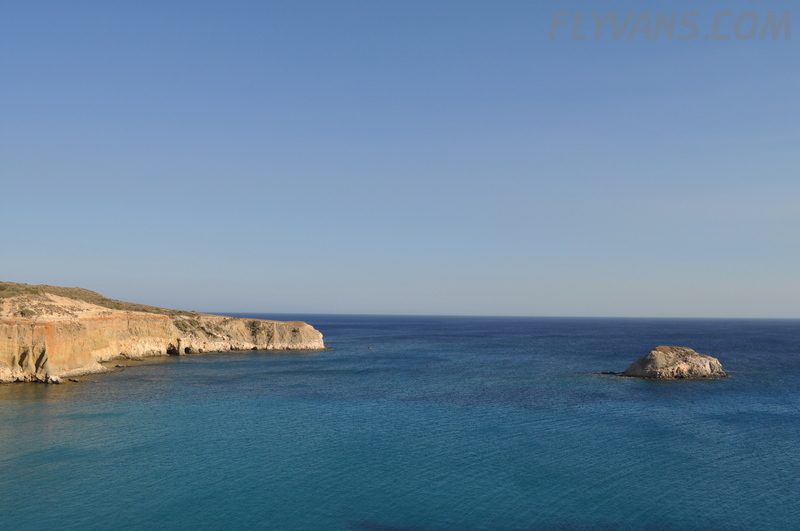 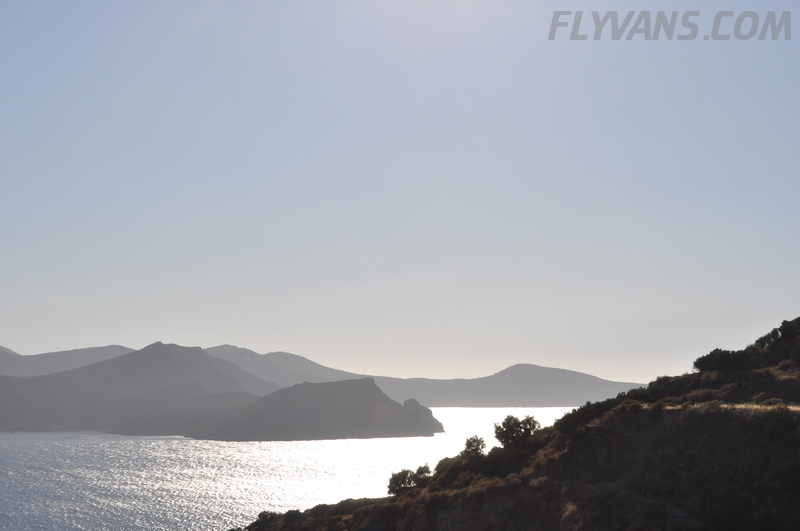 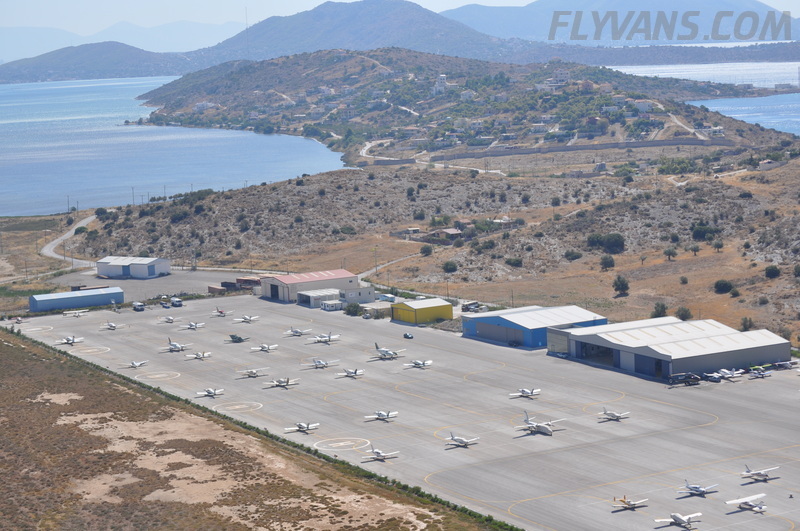 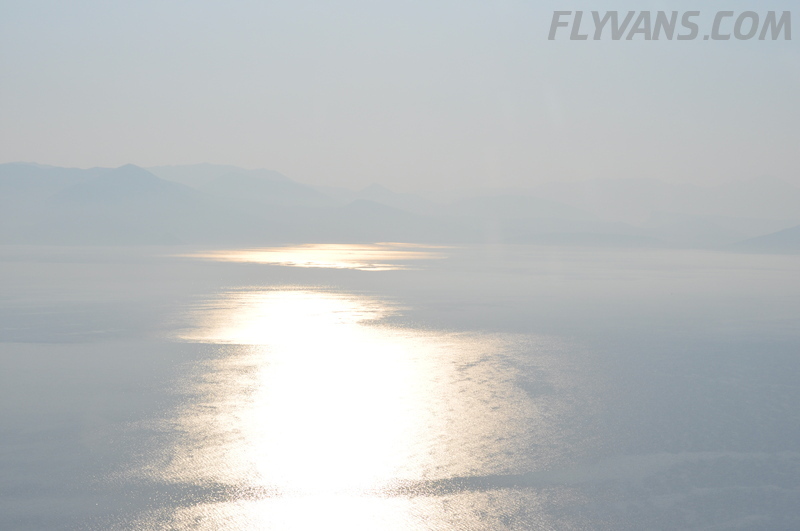 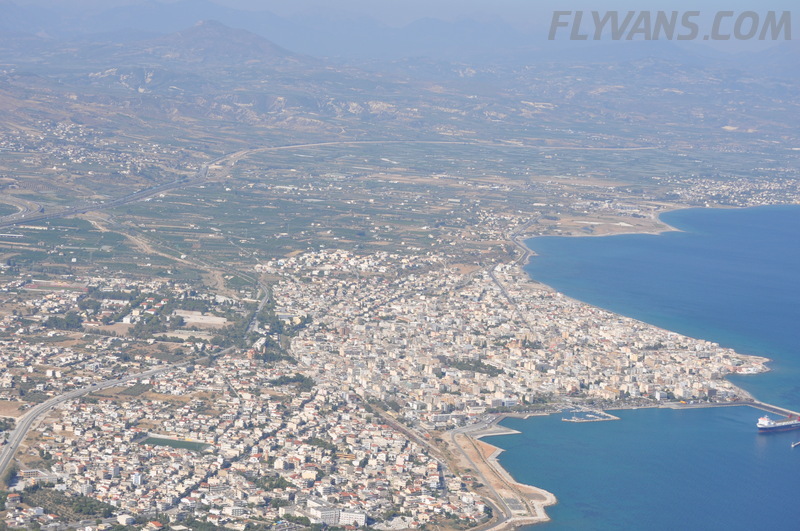 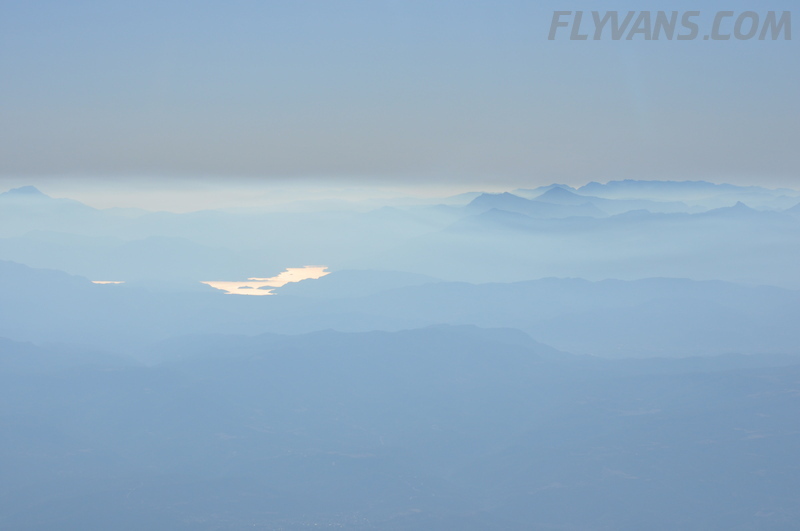 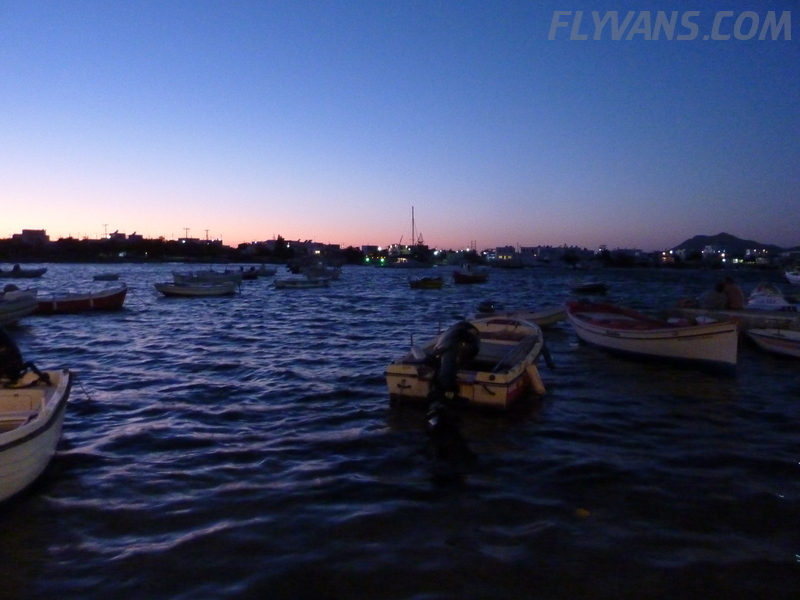 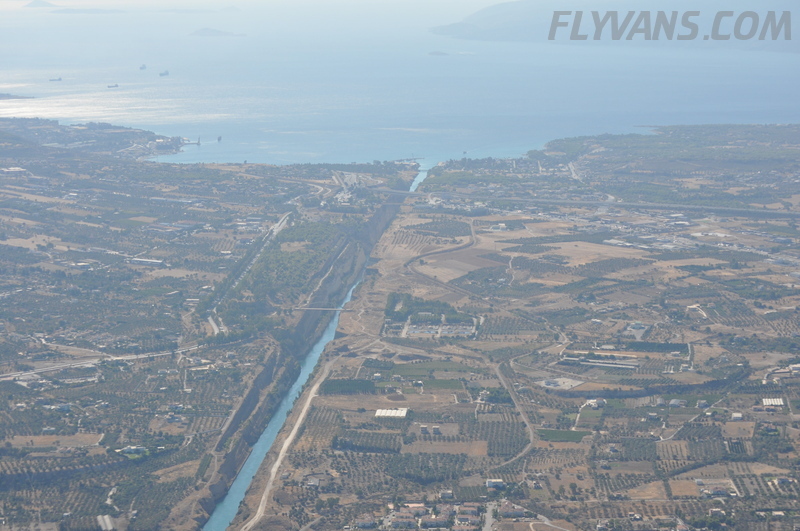 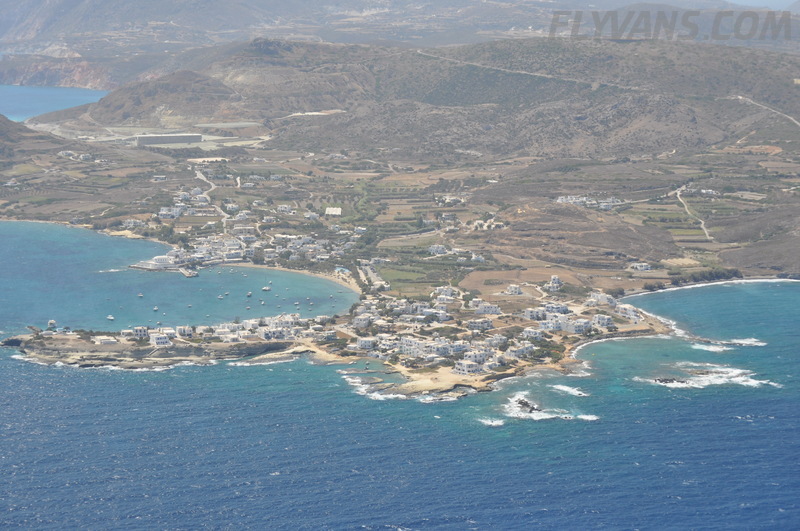 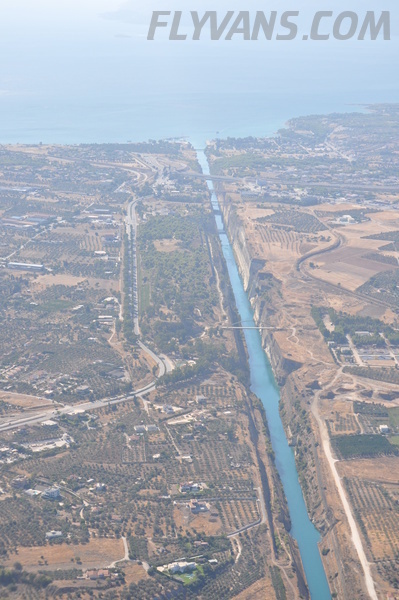 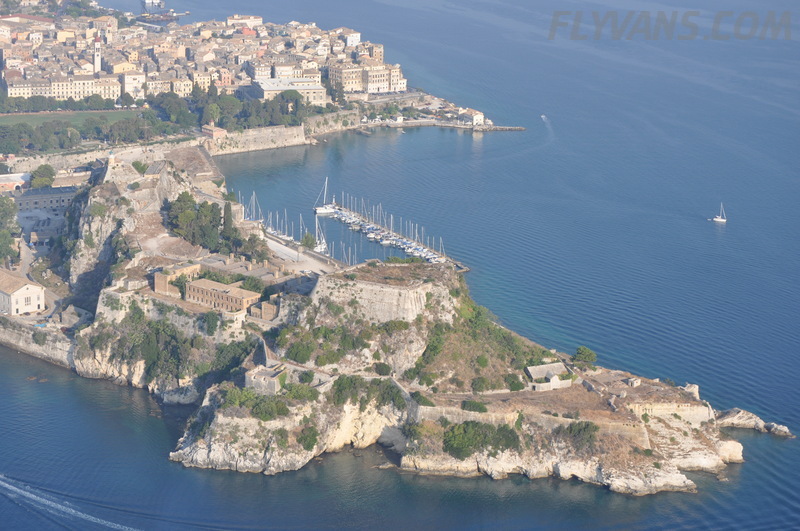 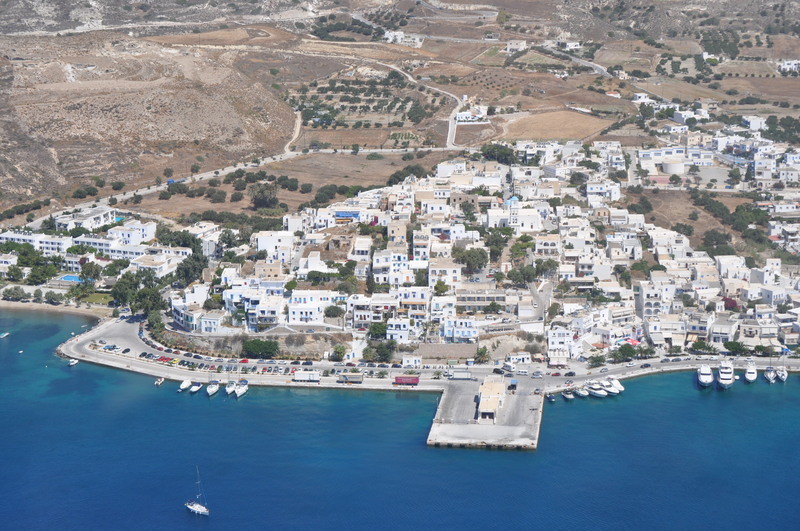 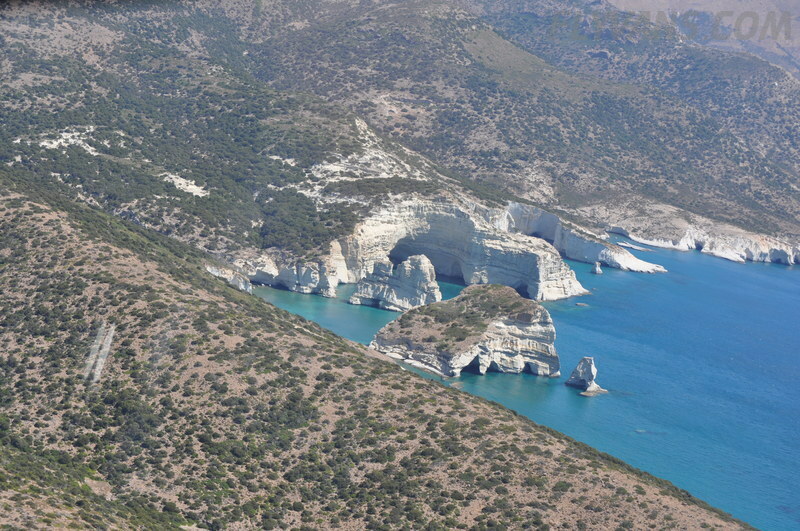 Basically, you can only get Avgas in the Athens region (Megara and Athens), on the eastern edge of the Aegan (Kos and Rhodos) and in the South (Crete airports). 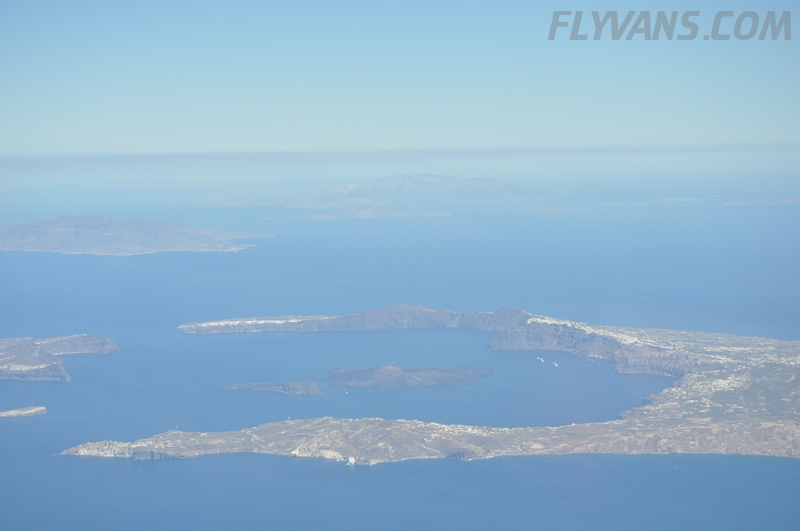 For all the islands in between you have to carry enough fuel for the way in, the way out and obviously alternate and final reserves. 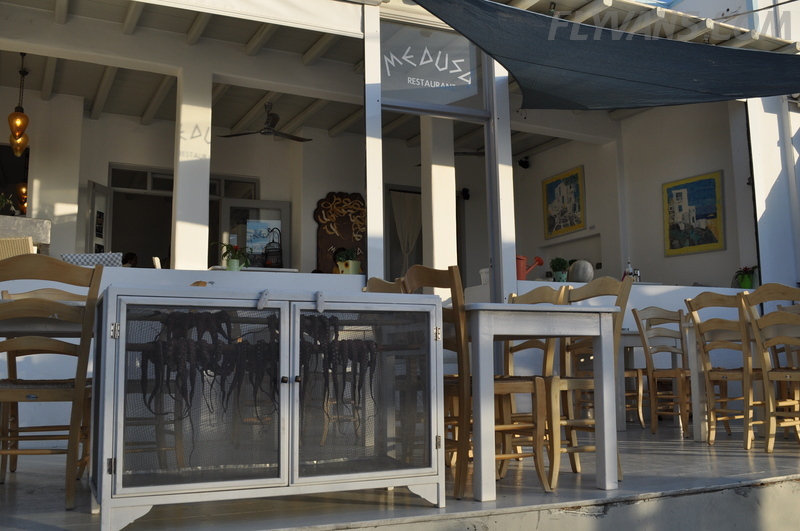 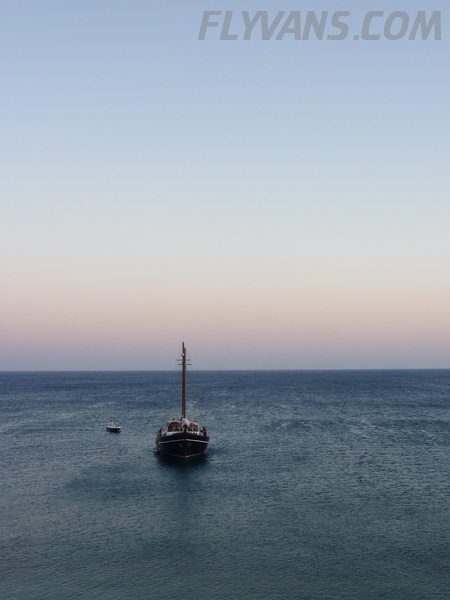 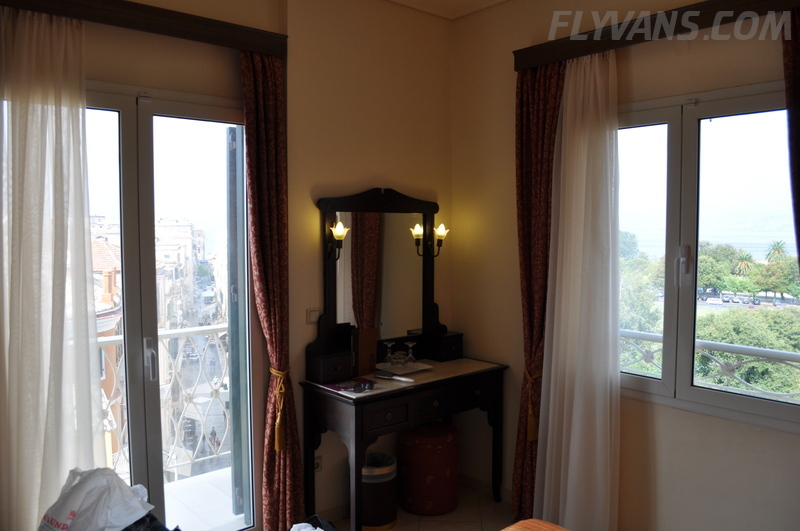 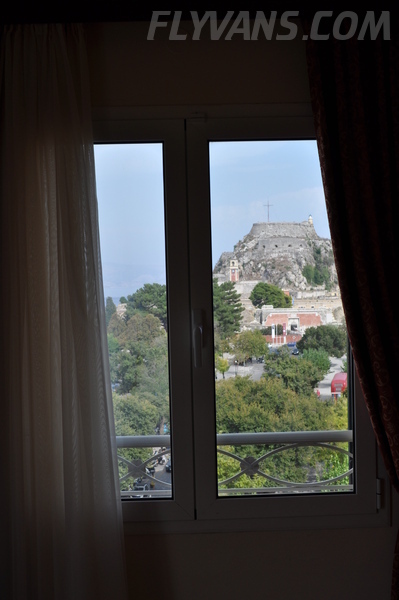 Since Athens is prohibitively expensive, this leaves Megara as the only (and what turned out to be excellent) choice. 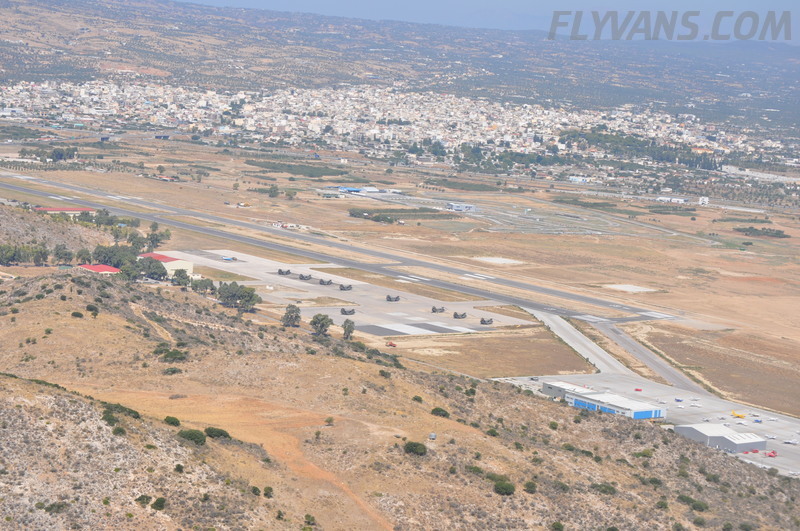 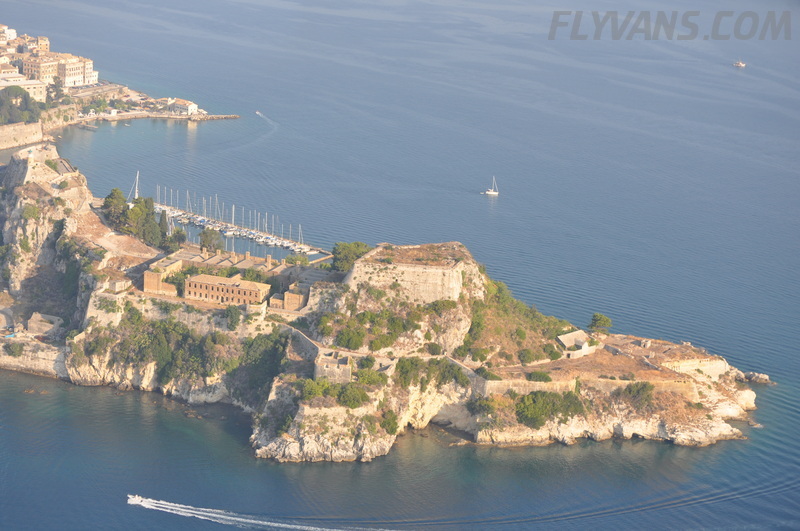 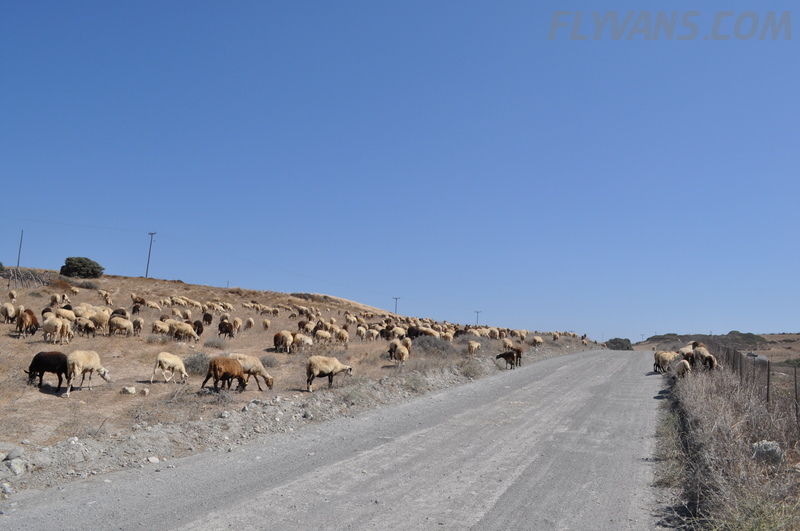 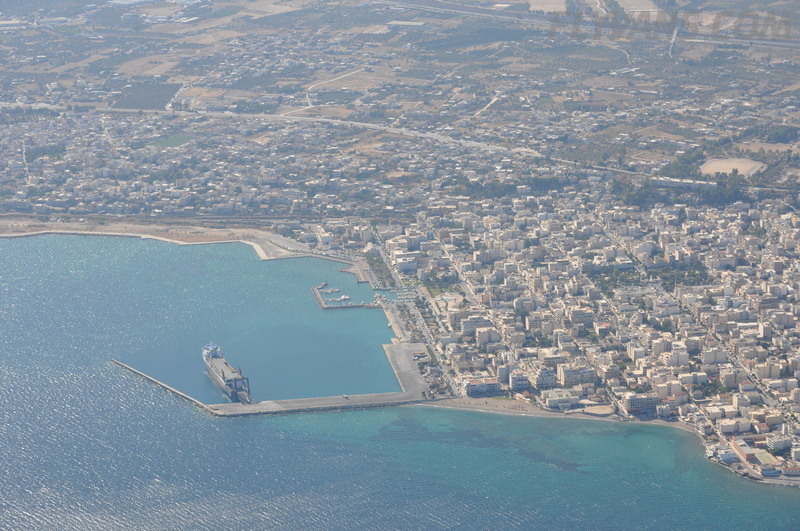 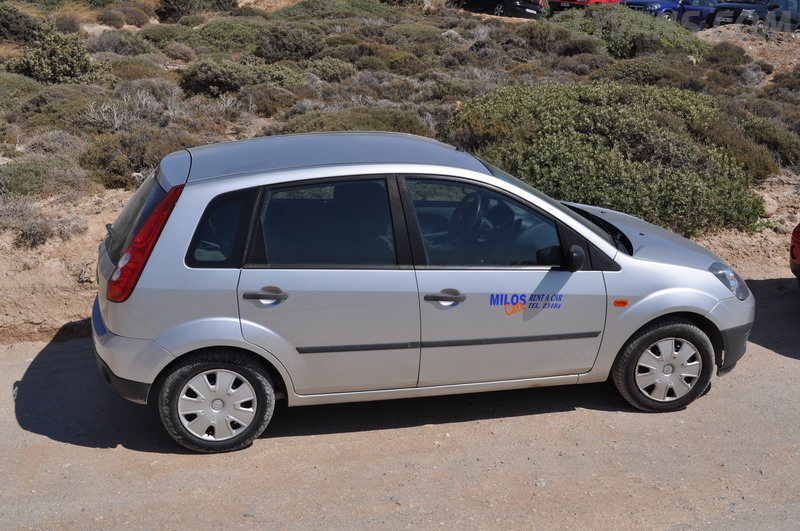 Megara is originally and still is a Greek Air Force (helicopter) base that has become the prime Greek GA airport. 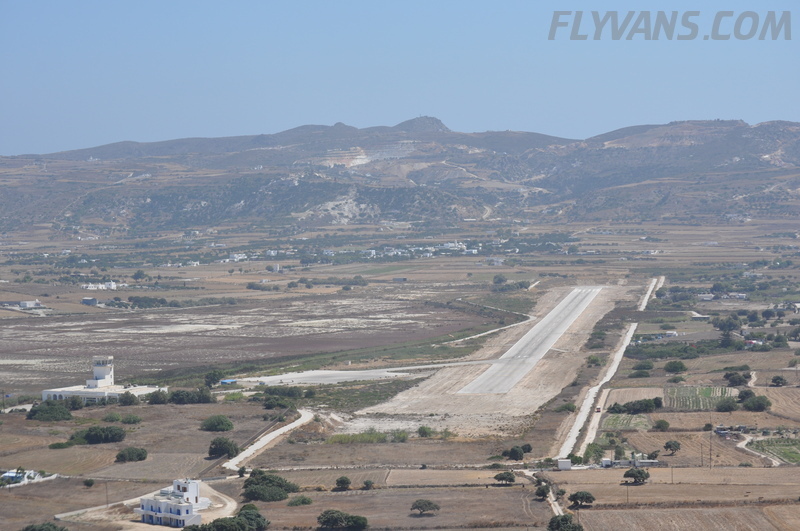 Other than requiring another special permission days ahead of the first visit, this was a great, efficient (30min), low-cost (no landing fees, no compulsory handling, comparably cheap Avgas) fuel stop. 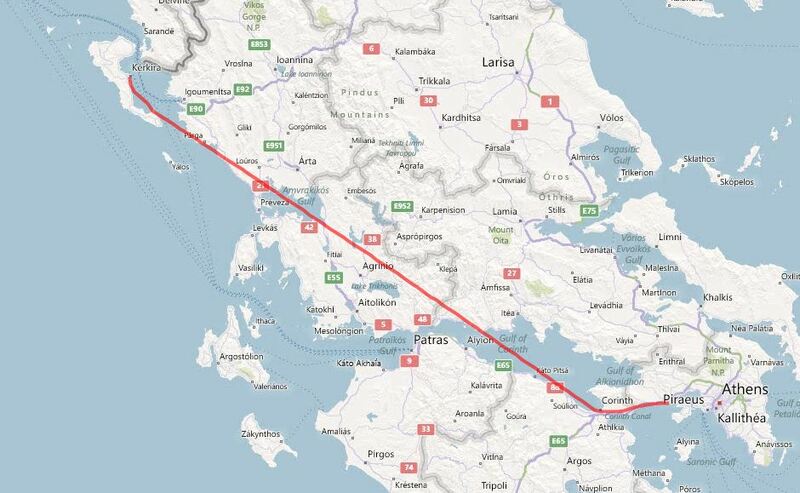 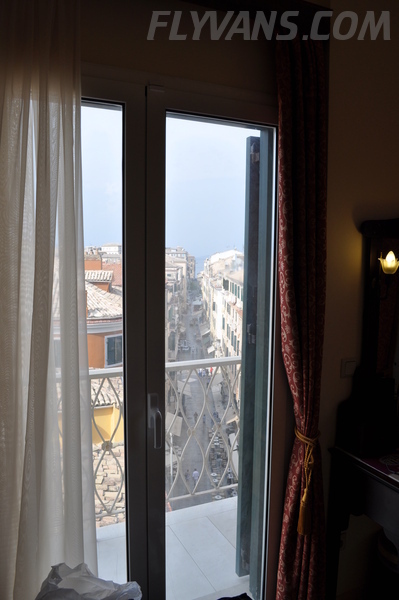 Quite the opposite of Foggia.